“Digital transformation” has become a popular buzzword — senior executives and experts are all talking about it. Some enterprises are already leveraging the benefits of digital transformation, while others struggle with incorporating the necessary changes into their business processes. Digital marketing transformation is a very broad term: there’s no single definition of it, and expert opinion on it is highly divergent. In today’s world, it is essential for enterprises to stay current as their competitors carry out digital transformation and increase their revenue and market share. Digital marketing transformation is exactly what enables enterprises not to stay competitive. 27% of senior executives believe that digital transformation is a matter of survival. At the same time, 33% of enterprises see digital transformation as a real challenge. Why is digital marketing transformation considered so complex? When carrying out digital improvements, CMOs may encounter various challenges. In this article we will discuss them and ways to overcome them. The term “big data” refers to quantities of information so large that they are extremely difficult to process using traditional software and databases. Effective big data management is crucial for digital marketing transformation. Large enterprises collect and work with vast amounts of data, which is a challenge to manage and process. In fact, many corporations manage various siloed systems that contain only scraps of information about customer operations, behavior and so forth. Customer data is at the core of any top company. Leaders like Facebook, Airbnb, Uber, and Amazon achieved success because they leverage all of their customer data. Facebook, for example, has a data science team that analyzes the habits and behavior of millions of people. Efficient operation is impossible if data is not organized into a single system. This means that effective management of big data defines the company’s success. In some cases, the best solution is to gather and centralize big data into one platform. If the data is stored in one place, all staff members can access it whenever they need it. This enables better management and processing of data. 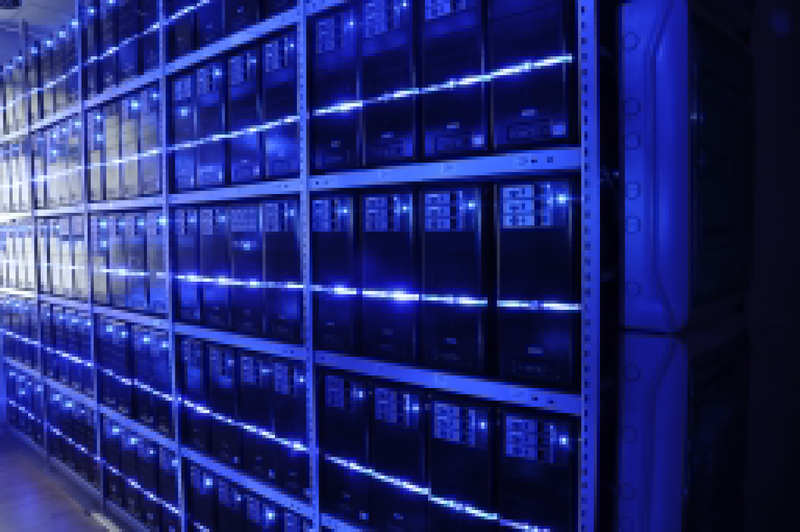 There are various big data solutions that help organize vast amounts of information. Examples include Microsoft’s big data solution, Google Cloud Platform, Oracle Big Data Solutions, and many others. ● They enable organizing and managing big data in the cloud. ● They provide reliability, flexibility, and faster scalability across the entire environment. ● They protect the company’s investments and data. Digital marketing transformation requires people with specific expertise in the digital sphere to lead and manage organizational changes. These modifications may include, for example, the adoption of artificial intelligence, virtual and augmented realities, the Internet of Things, and many other technologies. People with traditional marketing educations do not have the required knowledge to conduct digital transformation effectively. Consider Adobe’s survey, “DIGITAL DISTRESS: What Keeps Marketers Up at Night?”. It indicates that senior executives don’t feel confident about their digital capabilities. Less than half of the questioned marketers claimed that they were proficient in digital marketing. Around 52% of CMOs consider their major barrier to digital marketing transformation a lack of familiarity with technology. In the realm of digital marketing transformation, more focused marketing roles with more specific responsibilities should be introduced to stay agile. According to Gartner, 19% of companies are planning to appoint a chief digital officer. Some examples of other relevant roles could be: Head of Digital Marketing, Digital Optimizer, Chief Data/Information Officer, and so forth. Staff expertise directly influences a company’s ability to incorporate new technologies, and consequently, adapt to constantly changing business demands. Hiring the right people with the correct knowledge is a critical factor in carrying out digital marketing transformation. Today’s digital customers expect superb experiences from companies. These high expectations drive innovation and cause enterprises to go out of their way to meet customers’ needs. For successful digital marketing transformation, the customer must be a central point for all changes. 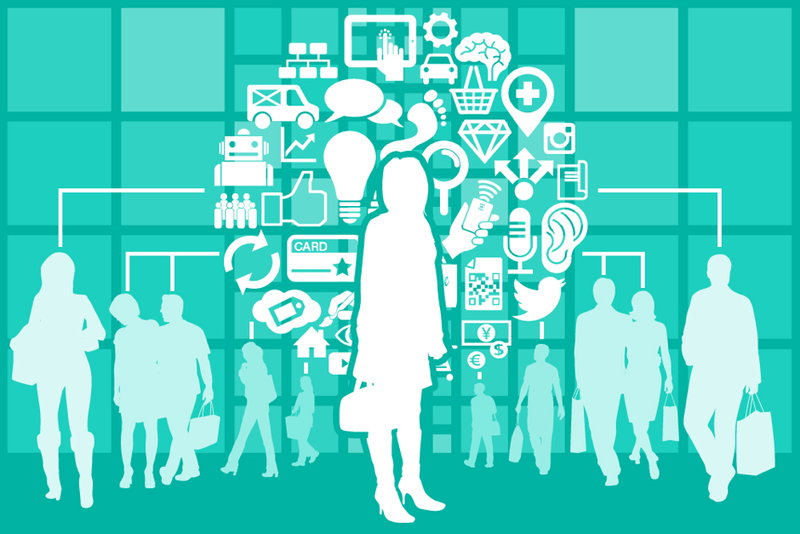 To enhance the customer experience, digital improvements must be personalized. The challenge is to understand the specific needs of a digital customer as well as to outline the whole customer journey. According to the “Digital Transformation Report” by Altimeter Group, technology is not the most important factor in digital marketing transformation. Digital customers’ expectations and experiences influence digital transformation to a greater extent. When deciding to shift to digital, CMOs should analyze what their customers actually lack. They should then find out the actual indicators of how digital transformation will help meet these needs and improve customer experiences accordingly. Additional research from Altimeter Group, “The 2016 State of Digital Transformation,” shows that 55% of executives responsible for digital transformation think that “evolving customer behaviors and preferences” is a crucial factor for change. Yet 71% of marketers state that the biggest challenge is understanding customers’ behavior and their impact. Senior executives talk a lot about the importance of digital marketing transformation. The paradox is that as long as the enterprise’s revenue is high enough, and senior management is satisfied, executives tend to think that there is no urgency to this process. Meanwhile, other companies — likely including their competitors — are already introducing digital improvements, giving them a competitive advantage over those satisfied with the status quo. To avoid losing market share to competitors, enterprises need to work out and communicate a clear vision for carrying out digital marketing transformation. According to the results of Capgemini research, “The Digital Talent Gap: Developing Skills for Today’s Digital Organizations,” 87% of organizations think that digital marketing transformation provides a competitive advantage. Moreover, Capgemini Consulting and MIT Sloan Management Review showed that 78% of senior executives consider digital marketing transformation an essential part of their company’s growth. Furthermore, 51% of CMOs believe that it is critical to incorporate digital improvements into their business processes within next 12 months, and 63% of respondents state that the speed at which innovations are introduced in their companies is too slow. Digital marketing transformation really is a matter of urgency. If adopted in a timely manner, it can help outpace competitors and gain market share. The customer journey is influenced by mobile technologies, which are developing and spreading rapidly. This fast development contributes to the fact that digital customers’ needs are accelerating. Software that not long ago was used only on PCs is now expected to be accessible on mobile devices. 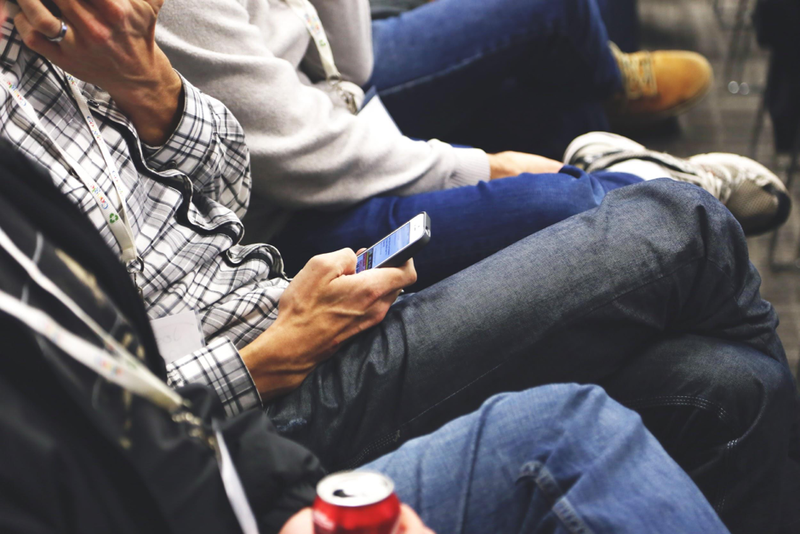 Meeting digital customers’ mobile needs is a real challenge for many companies. Merkle | RKG analyzed Fortune 500 companies websites, and found that around half of them did not comply with Google’s mobile-friendly standards. As a result, these companies may lose their position in Fortune’s ranking. Google has already announced that it will be shifting to mobile-first indexing, meaning that search engine result pages will be based on mobile content, and will give preference to mobile-friendly websites. 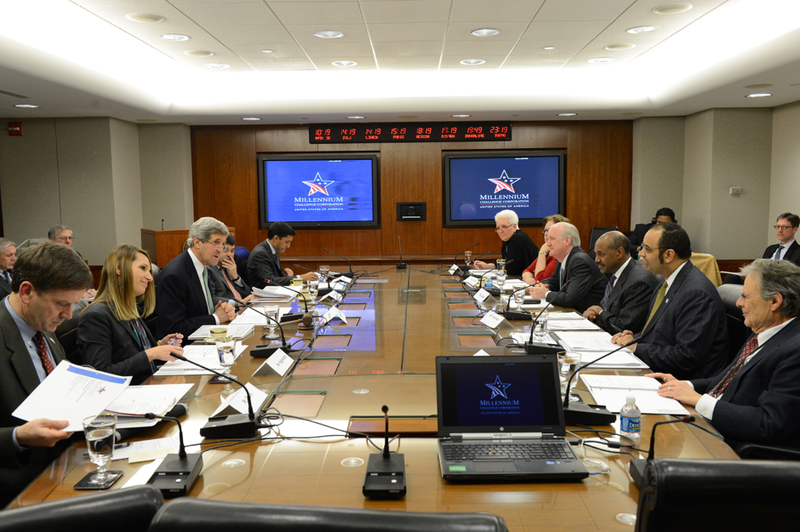 This will have a serious impact on how business is conducted. In today’s world, digital marketing transformation is a necessity for enterprises to remain competitive and win new markets. However, the transformation process involves certain pitfalls. Management of enterprise big data, especially when organized in siloed systems, is a real challenge. This is made easier when all of the data is collected in a single platform. This should be combined with a big data solution to help better manage customer data. Without an experienced team, digital marketing transformation is impossible. Employees need more specific knowledge of technology and digital customer requirements. Many enterprises have problems with estimating and meeting digital customers’ needs. Improvements should be driven not by digital technologies, but by the customer experience, and what is needed to improve it. Many enterprises think that digital transformation is not urgent, but they are actually wasting precious time and losing ground to competitors. Digital transformation is influenced by mobile technologies, but many companies still underestimate their importance, and as a result, lose potential clients. Here is a list of the top digital marketing tools you should learn to use in 2018. Hope you find this interesting. Research is essential to the success of any marketing campaign. Without proper planning and research, you are making your tasks when starting a campaign a lot harder. Always do your research and plan this will not only make your job easier but you will learn a lot more things in the process. Google Trends lets you see the latest trends, data, and visualizations from Google and find out what’s trending near you right now. It can give you validation on an idea pretty fast and it is very easy to use. Simply go to the website and type the keyword or the industry name you are interested in a hit “Enter”. You can also add other terms so you can compare data. You can also search by countries, time period, categories and type of search which includes Youtube search. And as you may know, Youtube is the second-biggest search engine in the world. So if you are going to start a business, research competitors, create a new campaign or just curious about certain words Google Trends is one awesome tool you can use! So there are two opinions on the Google Keyword tool there are the people who love it and the people who hate it and think it’s data is misleading. I will not be telling you what I think I will just tell you how you can use it in the best way possible. What is the Google Keyword tool? It’s a feature in Google Adwords which I will be talking about later in this article. It’s located in the “Tools” tab. It is similar to Google Trends but it gives you actual numbers you can work with. You can choose one or more keywords, choose the country and the language you want and see approximately how many times your word is searched. You can see if the competition is “High”, “”Medium” or “Low” and what is the suggested bid for that keyword. I do not recommend to use only the Google Keyword tool to research your keywords, but it is a great tool to begin with, to get some kind of idea on volumes. A cool thing about the keyword tool is that you can export the data and import it somewhere else. 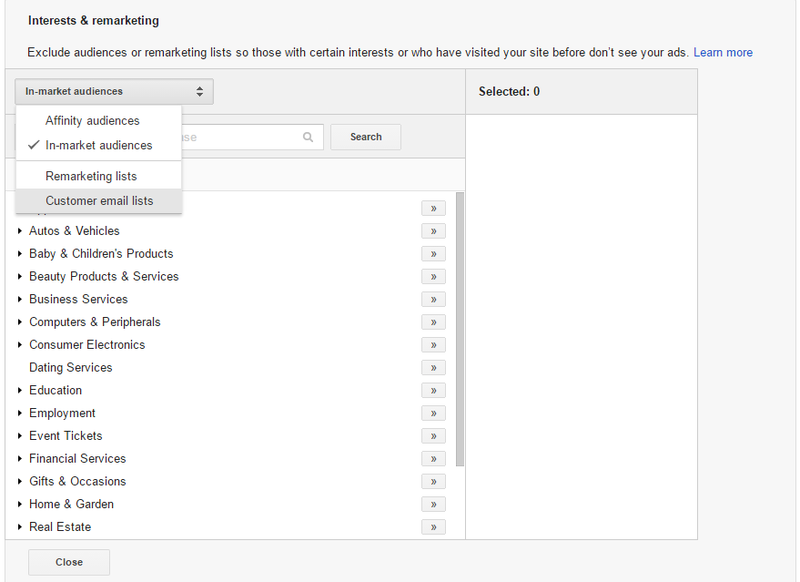 Also, you can start a Google Adwords campaign directly while you research your keywords which I also don’t recommend. Maybe one of the best SEO and SEM tools on the market. 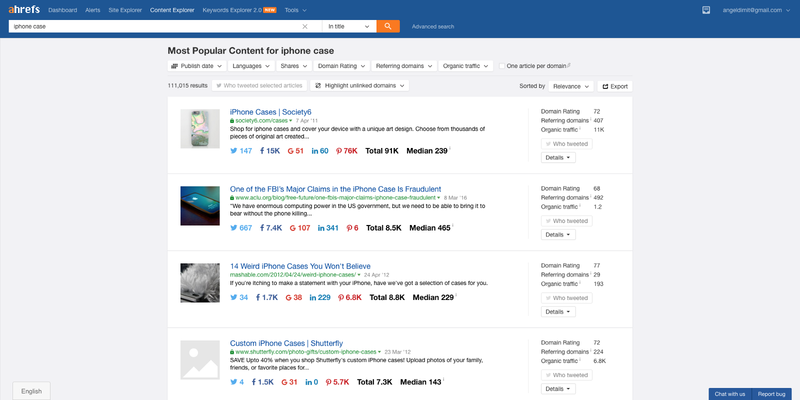 Mainly because you can learn almost everything about your competitors with the Ahrefs Site Explorer. What it gives you is the opportunity to learn where your competitors get traffic, where they rank for specific keywords in Google Search, how many backlinks and who exactly links to their website and much more. For instance, you can set “Alerts” so each time a website ranks for a keyword or receives a mention somewhere on the web. Also with their “Content Explorer” they give you the opportunity to find the most shared content on the web. Here you can see the most shared article about iPhone cases with a total of 91k shares. You can, of course, filter that in many ways. It has an enormous database of keywords and you can research keywords in 170 countries. It shows you accurate search volume data, how many searches are with clicks and how many searches remain without clicks. Another awesome thing about the keyword tool is that it shows you the keyword difficulty in other words. How hard is to rank for that specific words. It has a ranking history graph, a very detailed SERP analysis with all the data you need in order to make a plan and a marketing strategy. Last but not least, thousands of keyword ideas with all the metrics you need to know in order to make your decision easier. Since I make my decisions based on data I can say that I really like how Ahrefs works. 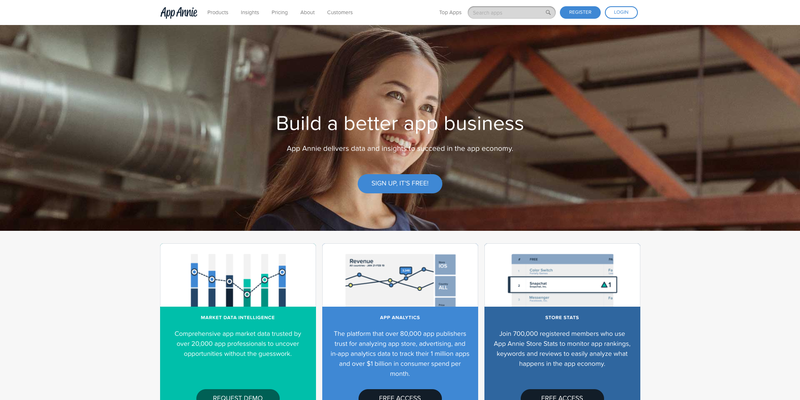 If you are an App developer or a Marketing Manager in a startup that has an App, you need Appannie. It is the best tool for tracking competitors in almost every app store there is. Here is a screenshot on how you can use it. The coolest feature in my opinion is the ASO (App Search Optimisation). 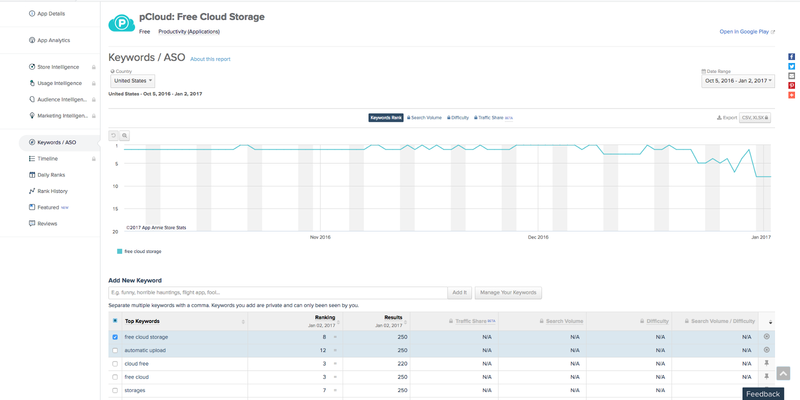 What it does is that it shows you where your app is ranking on a specific keyword in Google Play and Apple Store. Based on that you can edit your titles and descriptions when you upload a new version of your app. It’s pretty real-time so you can test different text in a matter of days and see what works better for you. 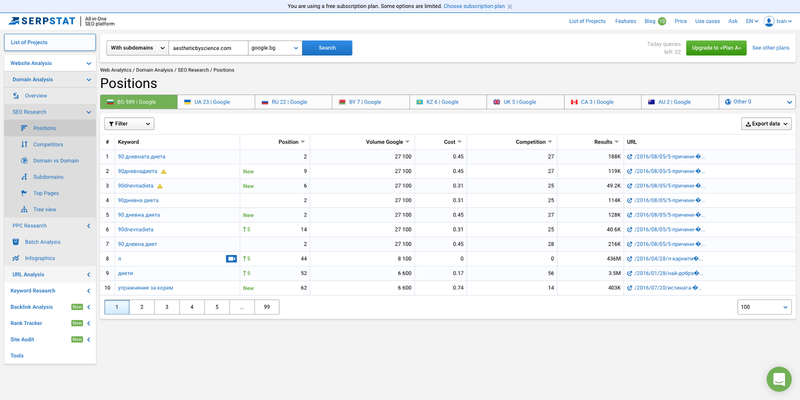 Serpstat is also an amazing keyword tool that I love. It’s similar to Ahrefs. I use it mainly to compare data and because the data for some countries is more accurate than other tools. 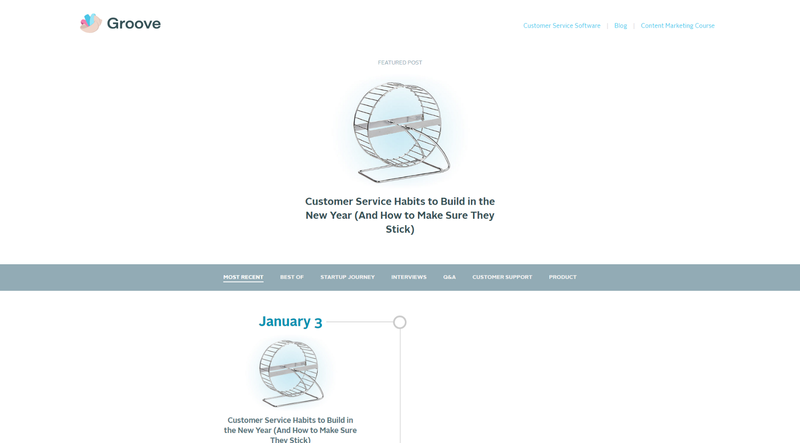 Recently the guys made a redesign of the dashboards and now it looks amazing. 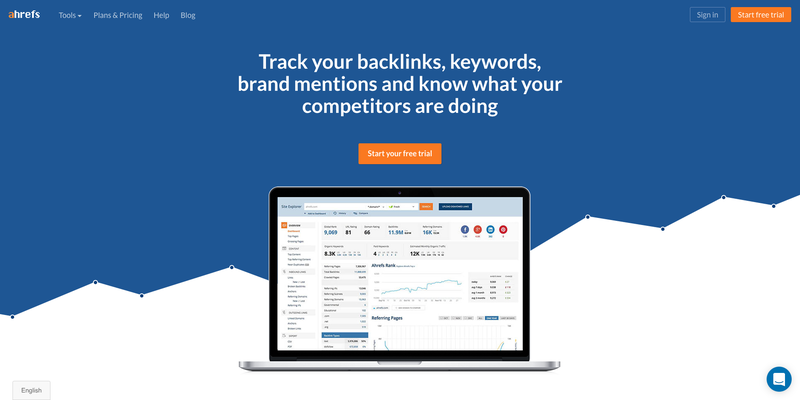 You can also track competitors keywords, backlinks and much more. It is a super easy to use and you should check it out. 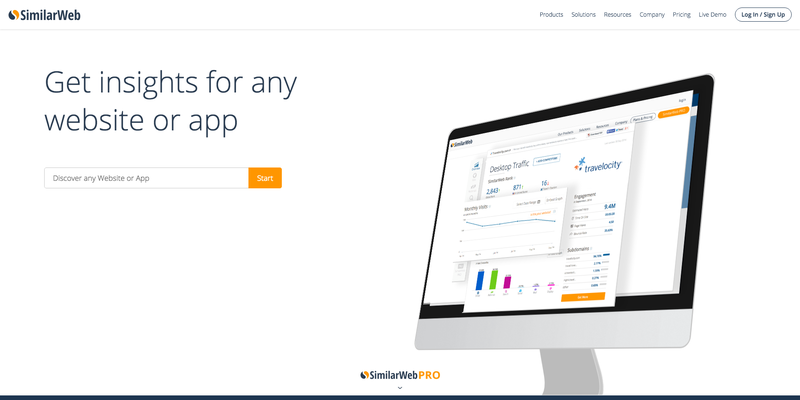 SimilarWeb it the first tool that I use to get an Idea for a website. What it does is give you an estimated traffic of a website, what are the sources of that traffic, what are the countries, a basic idea of the keywords that the websites ranks for and some other cool stuff. I mostly use the Chrome extension that they have because as I said it gives me the information I need to decide if I want to go further with research or not. For instance when someone contacts me with a review proposition or something like that I open the website and see what traffic that website does and where is it from. 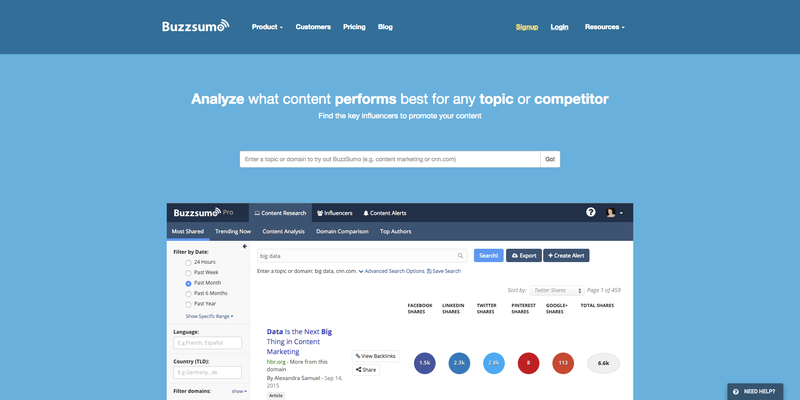 Buzzsumo is a tool for content discovery. It will analyze a certain topic or competitor that you give it and tell you the content that performs best. If you have writer’s block or want to see what are the best posts about something just type it in and you will get your answers. You can even see who shared the content with twitter and contact them when you have yours ready. One of the most powerful and underestimated tools that exist right now. As we know Facebook has one of the best targeting ad systems that has ever been built since it has tons of data for all of us. If you learn to use this tool you will make your job as a marketer a lot easier. The cool thing is that it is super easy to use and you will not waste days trying to figure out how it works. It can help you make a plan for a Facebook Ads campaign in the best way. You can see how many people you can reach based on country, interests, devices they are using, behavior, habits and even life events. It shows you demographic data and for some countries, you can even search by household income. Also, you can see what other interests the people you want to target have and what is the best way to target them. You can create an audience for an advertising campaign right there and instantly start using it without having to do it all over again. The easiest and fastest way to share a message with a massive number of audience is advertising. Today ad networks have become thousands of times smarter and there are a million ways you can target so that your message gets to the just right people. Here is just a fraction of that how the best ad networks work and how you can use them. As you know Facebook is the biggest Social Network in the world with an average of 25.5 Billion visits per month, average session duration of 16 minutes and 5 seconds and an estimate of 14.36 scrolls per visit. Exactly because of those numbers and the ability to collect data Facebook Ads is, in my opinion the most powerful ad network right now. So if you don’t use it for marketing purposes you should learn how and start immediately! There are many types of ads you can place in Facebook based on where are the users you are targeting in you marketing funnel. The ad types speak for themselves but I will try to explain them better with a few words. Send people to a place on or off Facebook (Clicks to website) — One of the most used Ad types by Facebook Marketers. What it does is that it sends traffic to your website and by default it’s targeted to people that are more likely to click on your ad. Get installs your app — If you want to drive users to install your app this is the type of ad you should be placing. Raise attendance to an event — This type of ad is targeted to people that are likely to attend an event based on your targeting. Get Video Views — One of the most powerful types of ads in my opinion not just because video on Facebook has exploded but you can create Audiences of people based on how long they watched a certain video! 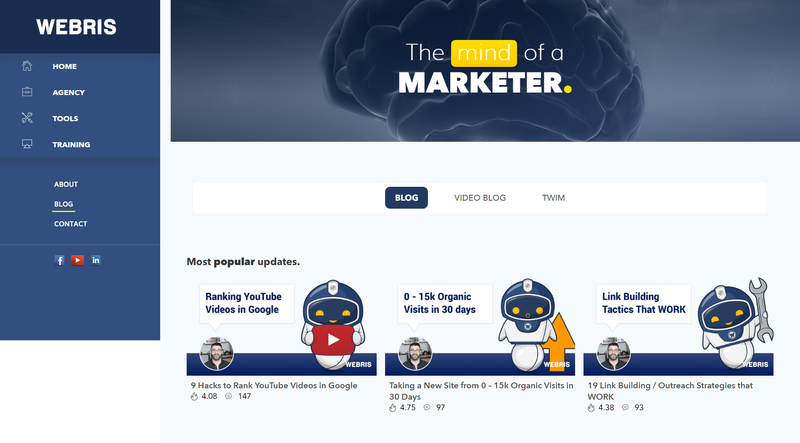 This is great because you can create amazing automated funnels based on how people engage with your content! Collect leads for a business — Another super powerful type of ad that is very underestimated by businesses. You see Conversion rates on landing pages have a lot of variables one of which is the speed of the page. With this type of Facebook ad, you can collect a lead directly on Facebook without the user even leaving. Him to a thank you page that is off Facebook. After you have his email you can use it via integration with some of the biggest email CRMs or just download it and use it however you want. No spam of course! For example, if a user is viewing a product on your website you must send the ViewContent event. If he is in the Cart you must send the AddtoCart event. The most important event you must log in the Purchase event. You must log it on your thank you page with ALL the Parameters that the Purchase includes. Here is a [link] with every Event and all it’s parameters. Give it to your developer. This is very important to do because as I said Facebook has massive amounts of data for every one of us and based on those events it can create a profile of you perfect buyer so you can get the best ROI for your ad spend. Also, you can create lists with people that are similar to your perfect buyer which is called Lookalike audience. Increase engagement in your app — If you have set your Apps events the right way you will be able to show personalized ads to people using your app. For example, if a user is close to completing a level but hasn’t visited the app in 1 week, you can show him an ad that tells him that he is close to completing that level. Get people to Claim an offer — As you know your are able to post an offer in Facebook. This type of ad targets people that are most likely to claim your offer. Promote product catalog — This type of ad is mainly for people that own big store. This a basically Dynamic Remarketing Ads. These type of ads are of the most profitable for marketers because they show to the user the exact product that he was looking at. With these types of ads you can show the user that right now only for him this product has a discount and most of the times he will buy. Dynamic ads increase the CTR and reduce the cost per purchase! What the pixel is, is a chunk of code that helps you track what users do on your website. Based on that you can create personalized ads specially for them. Facebook is so good at targeting it offers you to create audiences that are similar to the people you are tracking. They are called “Lookalike Audiences”. You can create this kind of audience for the people that have already converted on your website or app. 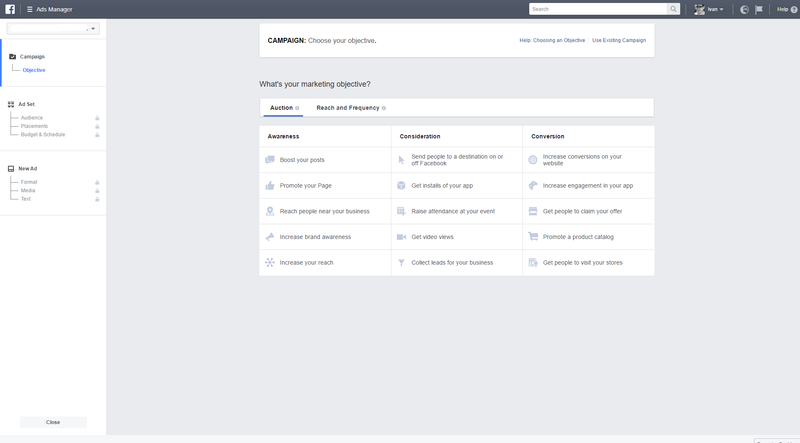 Based on that Facebook creates a profile and helps you show your ad to people that are likely to convert too. In order for this to work Facebook needs to gather information so it will not happen right away. The other thing is that you have to put the Tracking Pixel In a way so it can track the exact steps of a user before he converts. It can be a bit hard on some websites but by far this is the thing that has brought me the highest ROI based on ad spend. 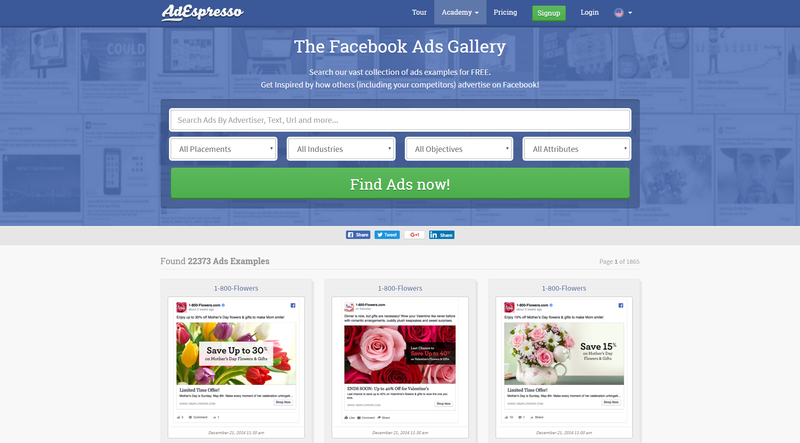 It is one of the most used and complex ad platforms ever. So if you are a marketer you definitely need to learn how to use it. At least the basics because it is not a coincidence that people get hired for doing just Google Adwords. It’s capabilities are massive and you will need quite a lot of time to learn all the things it can do. Google Adwords is very important because you can use a lot of channels that are connected to Google via Adsesnse and Tap into Google Search. 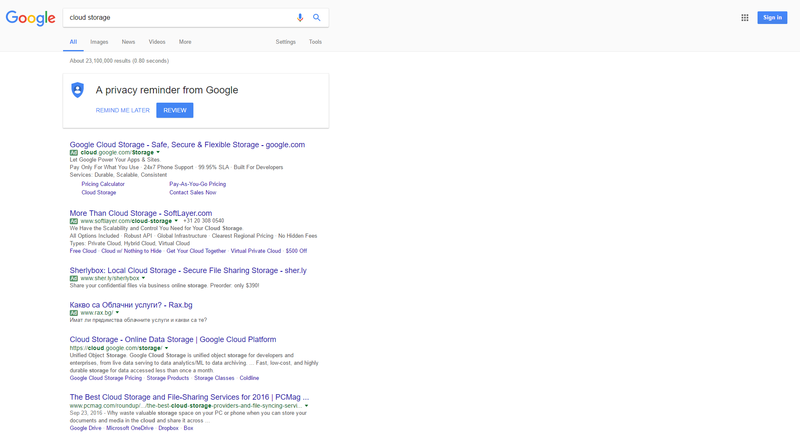 This screenshot has been taken on a 1920×1080 monitor and you can see that 70% of the visible part of the page search results are Ads. With Google Adwords you can be there. And this is important because of the graph you are going to see next. 36% of people in the US have researched the item from a search engine. Also the majority of banners that you see in websites are served via Google AdSense. 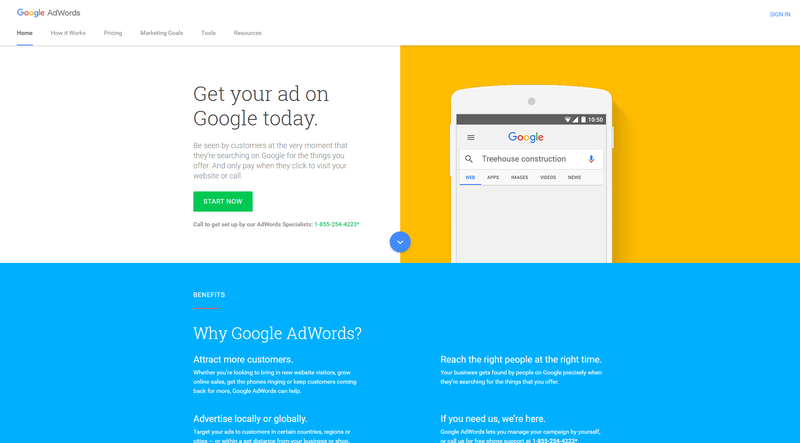 With Google Adwords, you can advertise on websites that are using Google AdSense. You can target them in very different ways. Interests & Remarketing -This type of targeting means that you can target people based on what Google they might be interested in. The cool thing is that here you have a couple of options. You can choose “Affinity Audiences” — Target People in large numbers based on their long-term interests, “In-market Audiences” — Reach people that are actively searching and comparing products like yours, “Remarketing” — Terget people that already had interaction with your website or app, “Customer email lists” — You can show ads in Gmail to people that have provided you with their Gmail email address. Placements — Choosing this you can target people that visit specific websites. Let’s say that you sell Macbook Pro Accessories and know your potential customers read Macworld.com. You can tell Adwords to show ads only on this website. To make the targeting even better you can combine Targeting Preferences. What this means is that I can show ads to people who read Macworld.com and read articles that contain the keyword “Macbook Pro Accessories”. Demographics — Of course, you can target people by their demographic profile too. Of course this is a very small part of what Google Adwords can do, as I said. In my opinion, it is essential for a modern marketer to know how it works. Bing ads are similar to Google Adwords and in my opinion is a super underestimated and underused channel for advertising. I see great results coming from there. For one to be successful in the long-term one must learn how to analyze. Successful campaigns or mistakes can be tracked and optimized. 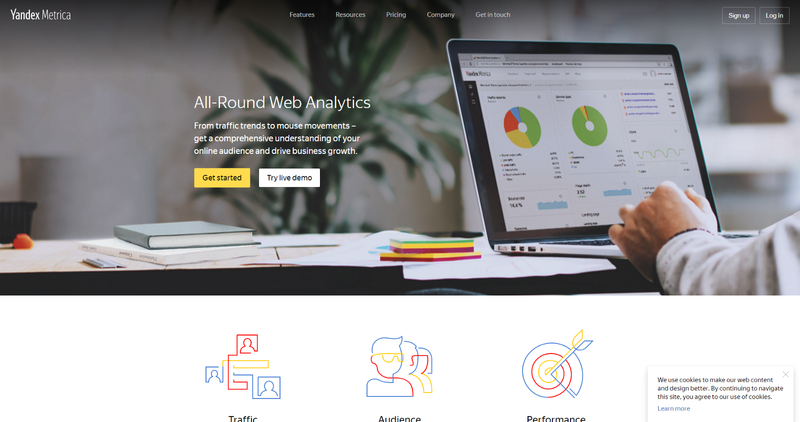 Here are some of the best Analytics tools. 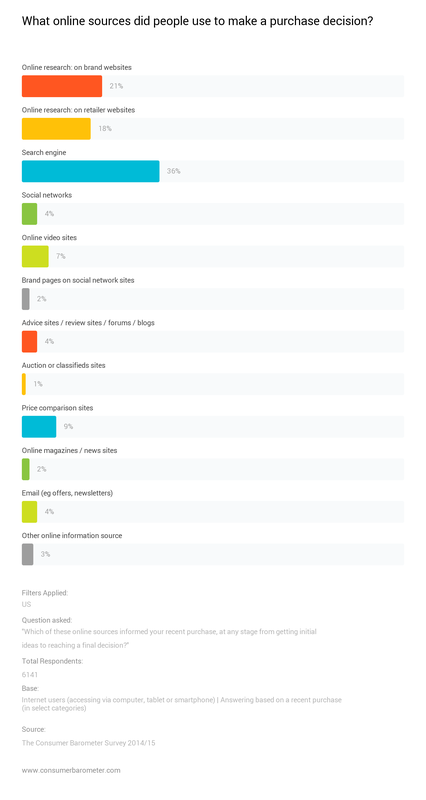 There are many data-sources on how many websites use Google Analytics. In a post from 2015 Marketing land says that Google analytics is used by 30–50 Million websites. Other data-sources like W3Techs say that Google Analytics is used by 54.9% of all the websites, that is a traffic analysis tool market share of 83.5%. Either way no matter how many websites use it is one of the most popular analytics tools in the world and if you are Digital Marketer, Growth hacker, Marketing Manager and even a CEO you must learn how to use it. 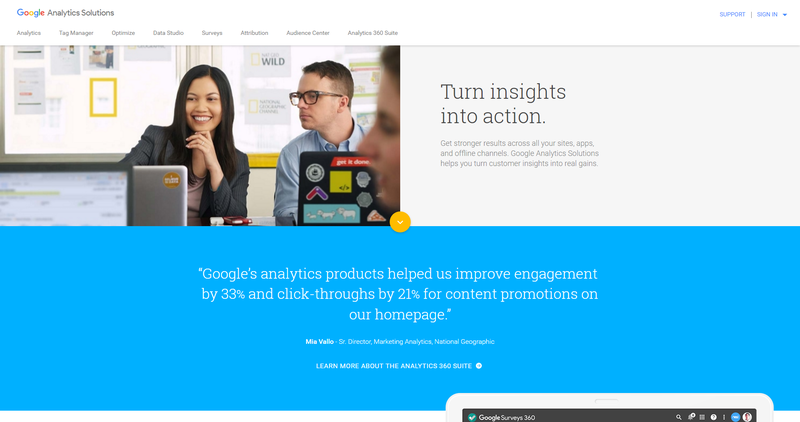 With Google Analytics you can track everything about your users even what resolution screen they are using. You can create all kinds of reports and thus learn more about the people using your service. Where they come from, which channel provides the most leads, sales, downloads etc. You can even perform A/B testing! It is extremely powerful if you know how to use it and if you invest more time to understand it you can only win. 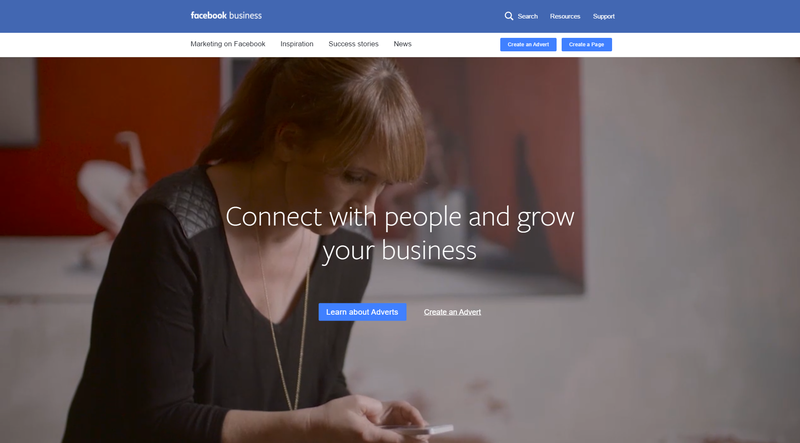 Facebook has recently gone into the direction of becoming a whole in one Marketing platform. 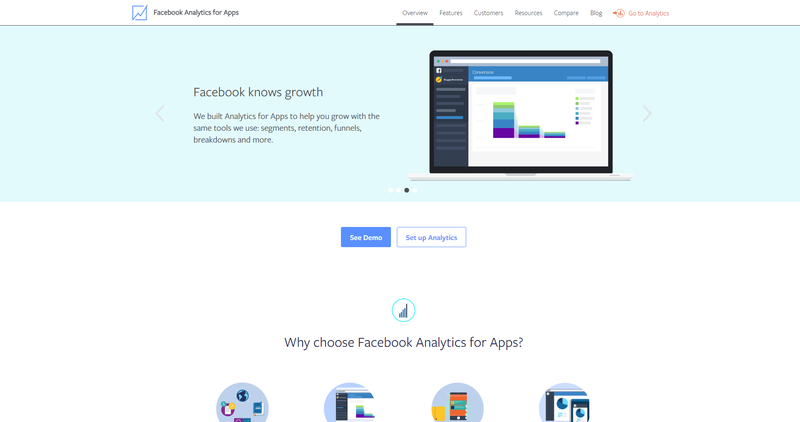 The Facebook Analytics for Apps recently came out of beta and it is one of the most powerfull analytics for apps tools there is if not the most powerful one. Well in the platform you can everything you need to know about a user. It is by far one of the most accurate demographic segmentation ever. And that’s not all. If you don’t know the Facebook Applications has a lot of permissions that you grant when you install it. But the true power of it comes when you set it up just like they want you to. 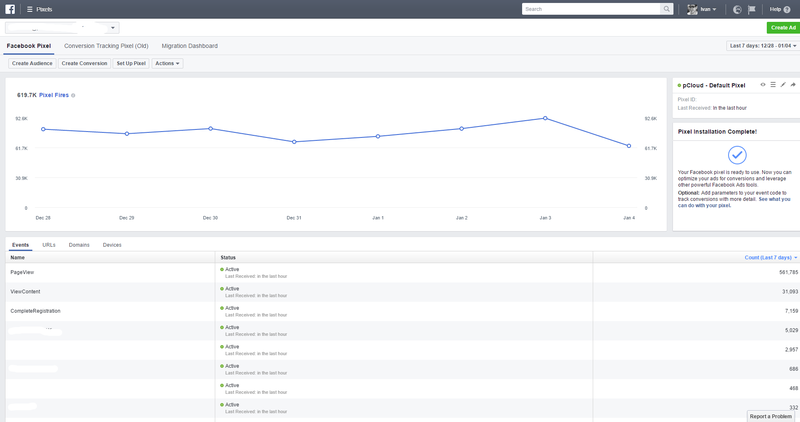 You see with Facebook analytics for apps you can track specific actions that users have taken in your app and create a segment to target them. You can show ads to people based on specific events. For instance, you can show personalized ads to people that haven’t completed the level of your game or give a discount to people that were one step away from subscribing to your service. 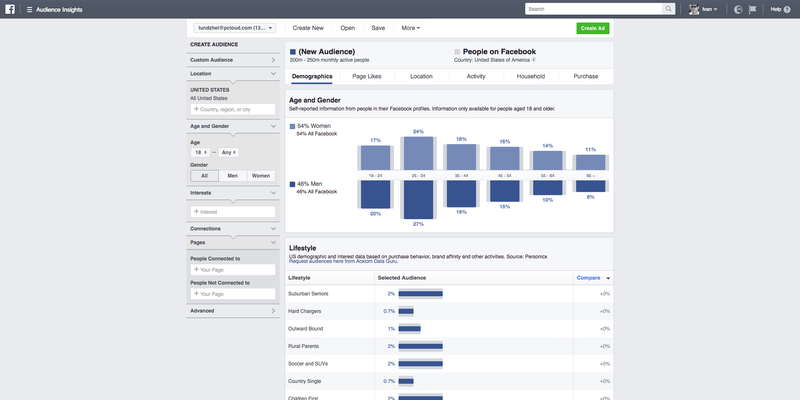 Also you can create Lookalike audiences to those segments but and I will talk about why this is amazing when we get to the Facebook Ads tool. Last but not least there are “Push Campaigns”. Push Campaigns feature is part of the Facebook Analytics for Apps SDK and it gives you the opportunity to send Push Notifications to your users totally for FREE! The best part is that you can use Push Campaigns with the Events and instead of paying for ads you can get to your users for free. Yandex is the Russian equivalent of Google so of course, they have their on Analytics. Yandex Metrika is good for two things the most. 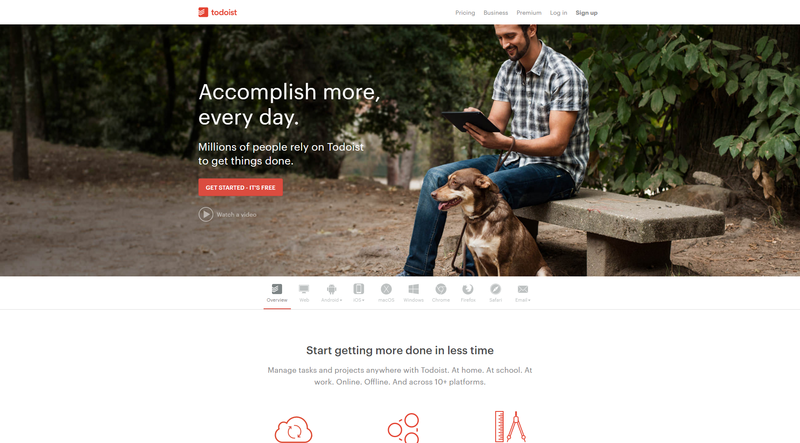 Here is a list of the best tools to make your job as a full-stack marketer a lot easier and get stuff done faster. With this you can pick any color from any web page. It is awesome when creating designs or landing pages. In order to understand where exactly your users come from when you are advertising or doing some kind of a PR campaign it is good to tag them so you can she the data in google analyics. This Chrome Extension is by far the best one I have found. Same as the Google Tag Assistant you can check if your Facebook Pixel is installed properly and what events it sends. So if you have a website and you want to track a lot of stuff you must have a lot of codes placed in all sorts of places of the website. One must be loaded before the other and all kinds of stuff that I promise you, you don’t wanna be doing. 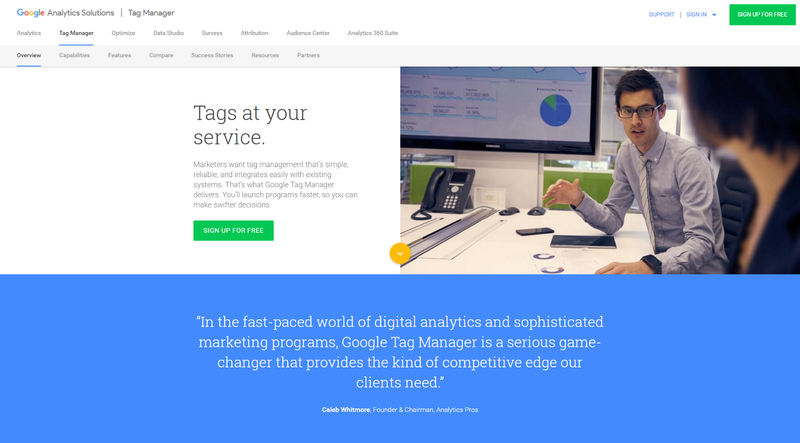 Google Tag Manager takes care of all this. 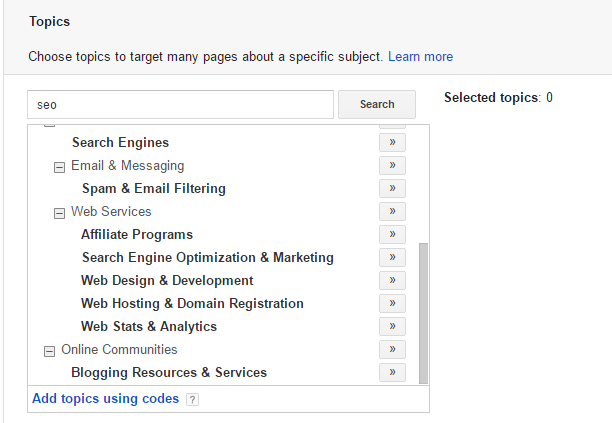 Basically, you can put all your codes in GTM and put JUST ONE code on your website. It might be a bit overwhelming if you are not familiar with Basic HTML, event tracking and the concept of how a website actually works but there are a TON of tutorials to make everything clear. Check this playlist that Ryan Stewart made. Hope it helps and you start using GTM. No more calling developers to ask them do something because you want to track that button in the footer. It will change your life I promise. With this tool you can scrape and download any kind of data from a website. You just define your filters and download the spreadsheet. I use it manly when I do display campaigns in Google Adwords. What I do is I tell Google to show me the first 100 results for a given query by adding %var% at the end of the link when I do a certain query and download them. Than I just put the links in Google Adwords so I can show specific ads in those specific articles. You can also do this to scrape websites for outreach. With this tool you can check if all your Google analytics events fire up like they should be firing without going into Google Analytics Real Time View. I keep all the stuff I need to read later in Pocket. A cool feature it has is that with the apps for iOS it can read you the article so you can just listen while you, run, workout, drive or commute. You can create categories with tags so you can find your links faster. Basically you can store every link you need for later. A list of tools I use to build Landing pages and make creatives for ads when I need a proof of concept. 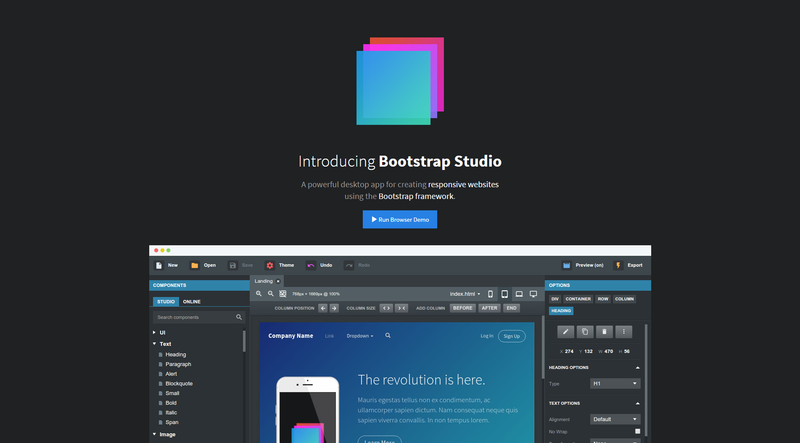 So what Bootstrap studio is, is how I love to call it “Photoshop for Landing Pages”. It is an amazing tool built with the Electon Framework [Link] which enables you to create amazing responsive Landing pages and the front end of a whole website really. You can either build the pages via drag and drop or if you like you can write the code. 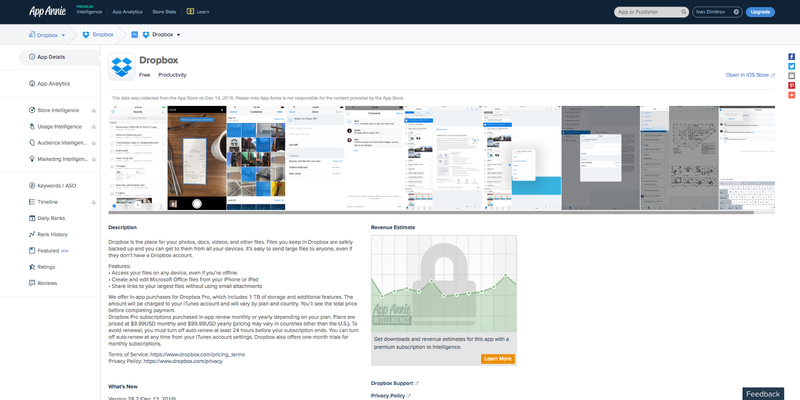 Everything you do is updated in-front of you in real time and you can see how your page will look like on different devices. It is super easy to use but if you are a complete novice in HTML and CSS it might take more time for you to learn how to use it in it’s full potential. Here is a short video of it’s features. If you are not a designer and you need to create some pictures for ads of for a website Canva is your savior. What it does is provide you with the tools to easily create a great design in just a few minutes. Of course you must know what you want to do otherwise it might take you more time to do it with Canva than just paying a professional. It has so many options that you can create almost anything. 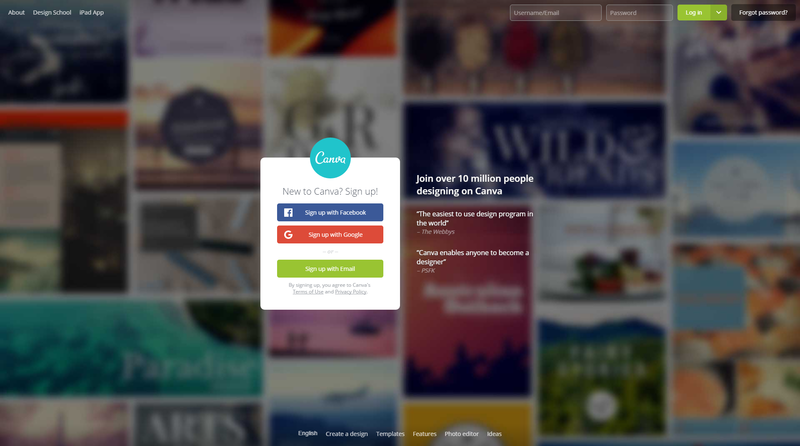 I personally prove my consents to designers with testing in with Canva first. Just to make it clear, it is not in any way a substitute of a professional designer tho, but if you want something done with good quality, Canva is the tool to use. 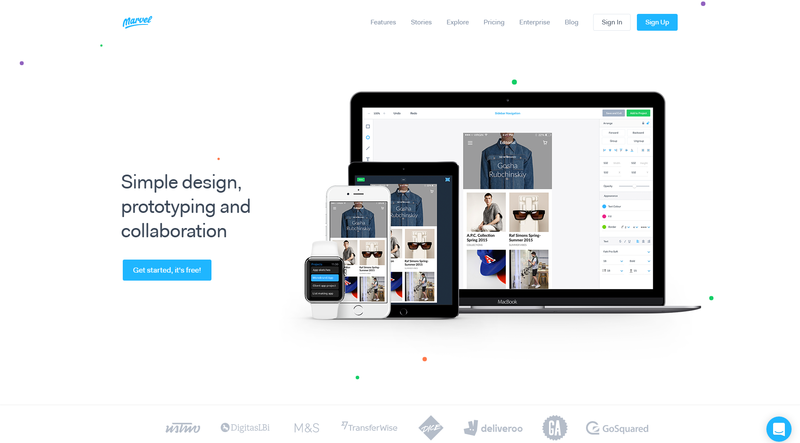 Flatpack is a drag and drop landing page designer. Again I am not saying that those tools are a substitute of a designer or a front-end developer. 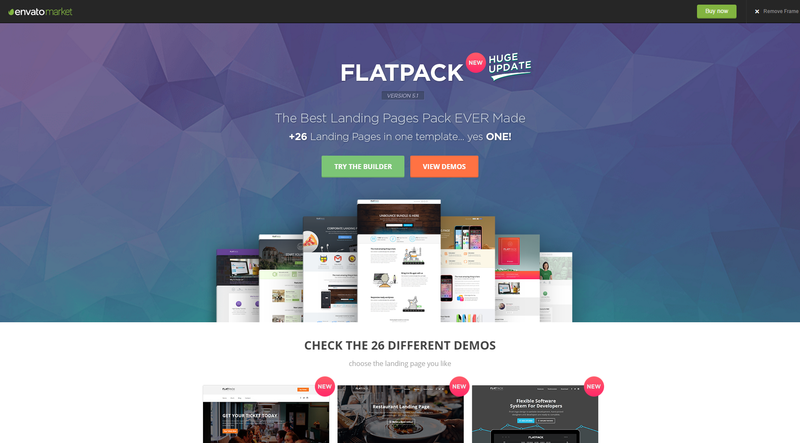 With Flatpack tho you can create a landing page very fast. It is pretty easy to use and it’s kind of self-explanatory. You choose an element you put it where you want and then play with the settings. It is great just to make a quick test of something. It’s $18 which is an amazing price for what it can do! A great tool for prototyping and collaboration on app and website mock ups. It is integrated with most of the popular tools that designers use and has a lot of cool features to make your life easier when dealing with explaining how something works! Everyone needs inspiration. Here are a couple of tools I use to see best practices and interesting ideas. As far as I know this started as a side-project of AdEspresso and I think it is awesome. With this tool you can type in a keyword or a company name and it will show you what kind of facebook ads they were/are running. Here is an example with Dropbox. 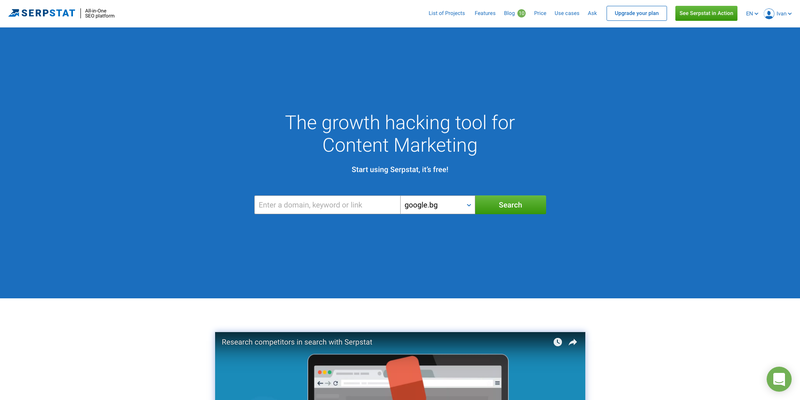 This is my favorite website for Landing Page inspiration. 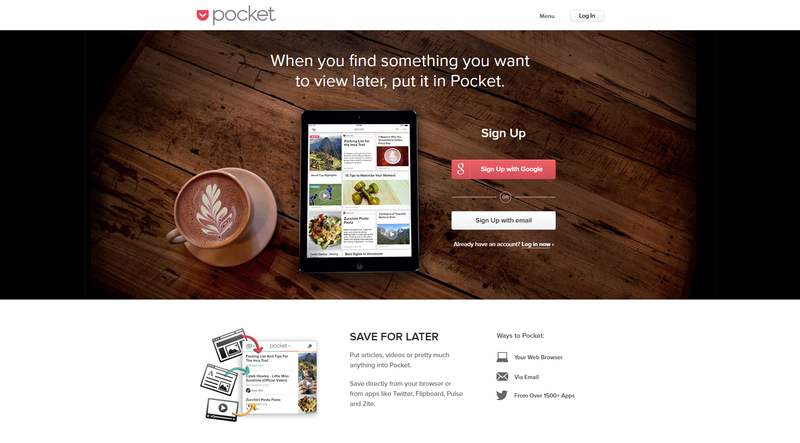 It has a lot of screenshots of websites and landing pages all in one place. 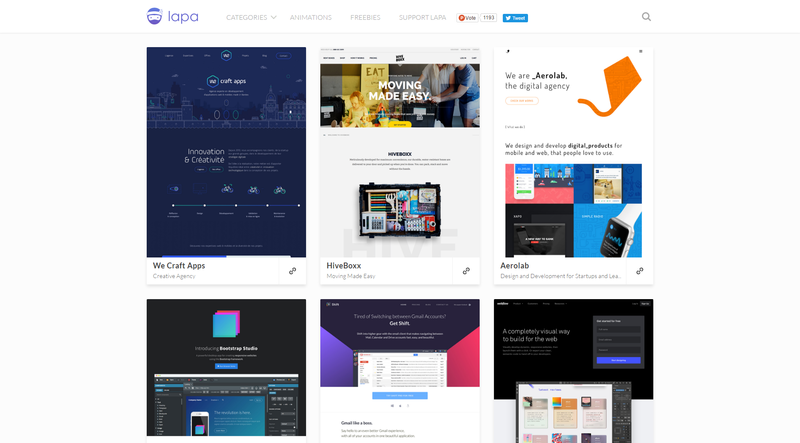 If you feel the need to be inspired by a website design just browse for a while. 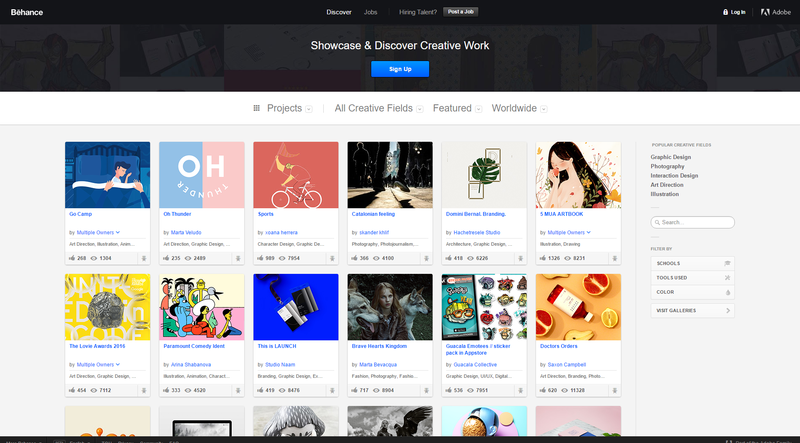 Maybe the most famous and big designer portfolio website in the world. 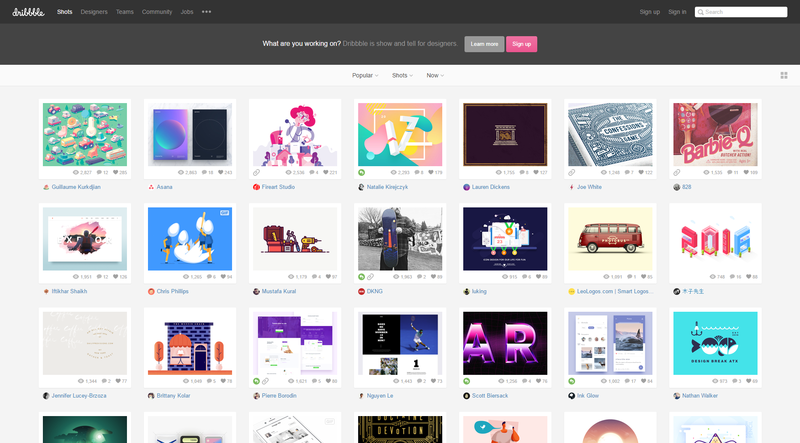 If you need to be inspired in any way not just web-design but architecture, typography, motion-graphics or anything that is designer related this is the place to check out. It’s awesome if you are trying to find a good designer to do something for you. My favorite designer portfolio website. Here you can see case studies, animation, logo designs and basically everything designer related from big companies or really really good freelancers. You can stay on top of modern trends and really learn a lot. Plus most things that are posted are really awesome! This is THE (di) BEST website that I have found for awesome AND free photos. Anytime I need something cool for a Landing page or a Ad or an email or just want browse for ideas I visit this awesome place. Another thing is that I really love the culture of the people that stand behind this awesome project! Make sure to check it out you will not be disappointed! Email is still the channel with lowest cost-per-conversion. Here are some tools I use to either find the email of someone or fully automate a customer or outreach flow. 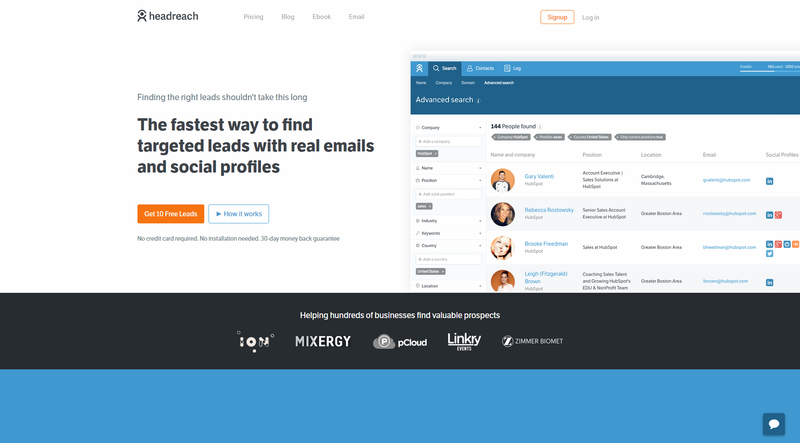 HeadReach is a simple prospecting tool for marketers and sales folks. It helps you find the right decision makers and their emails without paying for a LinkedIn premium account or spending hours on using a plethora of different email finding tools. You just simply chuck in a company name, domain name or person’s name and the tool finds the right people. You can use HeadReach to find professionals in your field to do a roundup post, for content promotion or to find the right people in charge of a popular outlet. For example, you can search for all editors at TechCrunch, Forbes and Entrepreneur magazine via a single search. 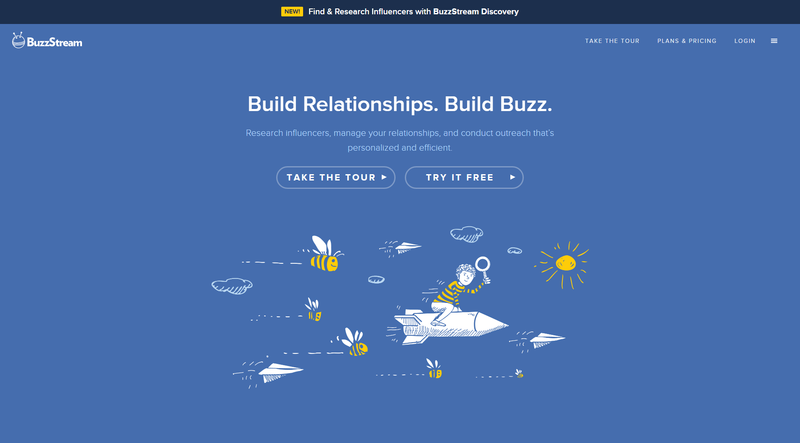 This is one of the best tools to research influencers, contact and outreach to them in a personalized and efficient manner and manager your relationships with them. You can discover all kinds of information about people that are considered influencers in all kinds of niche markets. It is very easy to keep track with conversations and also you can set reminders for a follow up email. 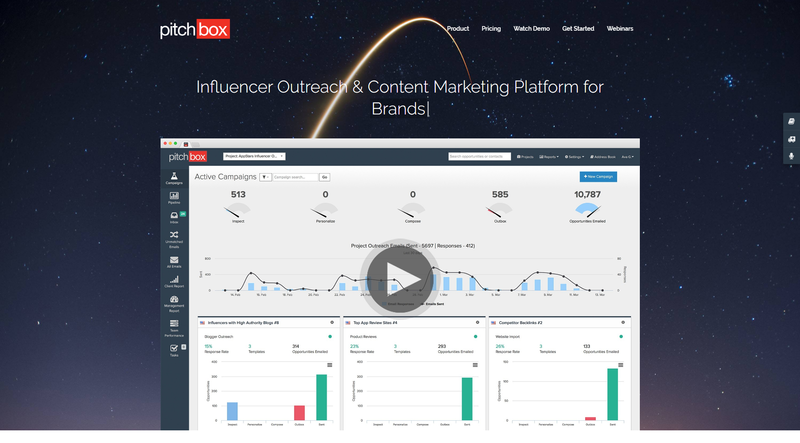 I use Pitchbox mainly for outreach because if you automate it the way it’s supposed to be you can scale on outreach very fast because it will need you to dedicate very little time to it. One of the best email automation tools. In a few hours playing with it you can set up a whole customer journey from the time of the registration of the user to sending him personalized emails based on his actions. It’s not cheap but it is super easy to use and it is very powerful if you set it right. Maybe the hardest part of a successful project is it’s management. Working as a team is essential. Here are some tools to help you collaborate faster even with people that are on the other side of the globe. 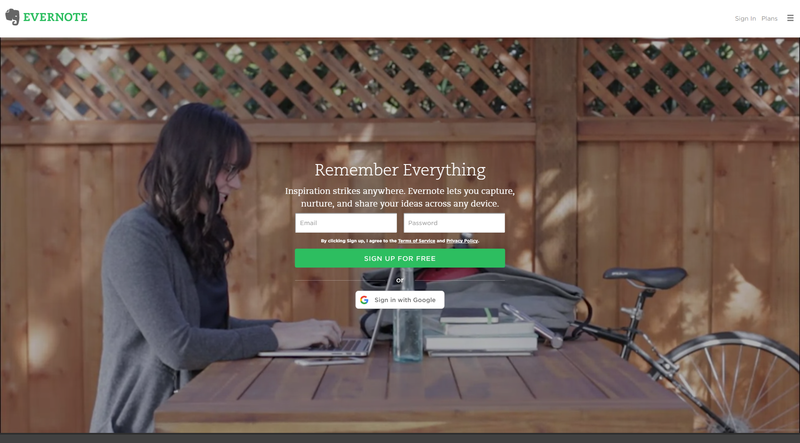 pCloud is a Cloud Storage. For those of you who don’t know what cloud storage is, it is basically a place where you can store all your files and access them any time you want on any device. It is kind of like Dropbox, only much better and I will tell you down below why. Cloud storage has become essential for me from the first day I found what it does. Here are a couple of reasons I love it. Organization — I love everything organized and easy to find so this is perfect for me. You can organize your files and folders however you want. 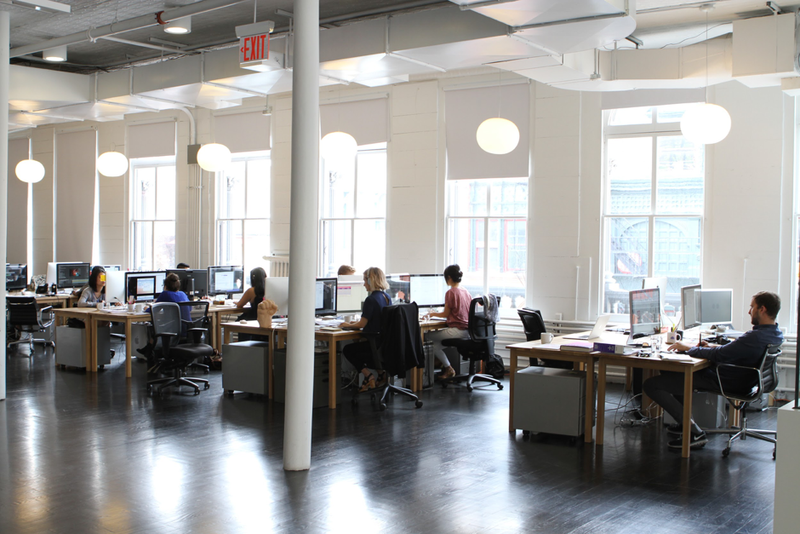 Collaboration — One of the main reasons you need to start using such a service right now. You can Invite people to folders you own so you can work together on your projects. Of course you can give users specific permissions. You can also create download links so people can download the content or a file you want to send them. It is very easy. Also you can create an upload link. This means you give permissions to people to upload files in your folder without having an account in the service. Backup — You can use Cloud storage as a backup service for the files you want to keep the most. Stream music and video — with pCloud you can stream any music or video file in it’s full quality (as long as our internet is good enough) on any device you want as long as it’s in your account. You can also access it offline of course as long as you marked the files for offline use. So all of those features are essential for a cloud storage and most of the services have them. Let me tell you why you should choose pCloud and why it’s better than the rest. 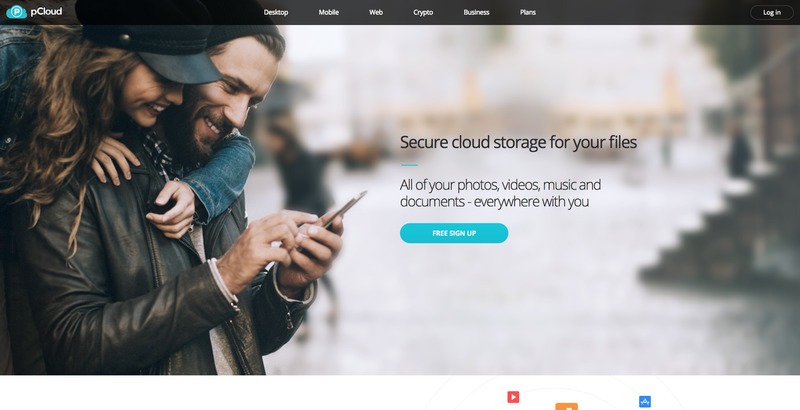 So apart from all the things that every cloud storage has pCloud has some pretty cool ones that make it an amazing service. 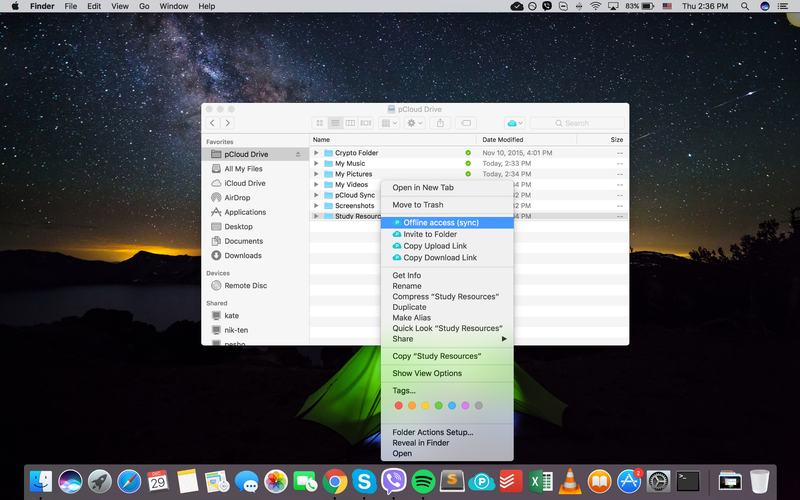 pCloud Drive — pCloud Drive is pCloud’s desktop application. What it does is that it essentially creates a virtual drive on your Computer and does not use it’s storage too keep your files like Dropbox and Google Drive.What this means is that you can access and use all of your files as if they are on your computer but without them taking any of it’s storage. This is amazing especially for Mac users since the Hard Discs of the newer versions are not upgradeable. Here is a video of me telling how I got 2.7 TB on my 512 GB Macbook Pro Retina. 3. Security — pCloud has a feature that makes sure ONLY YOU have access to certain files. It is called pCloud Crypto. When you opt-in for pCloud Crypto you get to create a Crypto folder. It provides client-side encryption, i.e. the encryption process is performed on your device. The encrypted version of your files is uploaded to the servers. Even pCloud, as a service provider, will not know what kind of data you store in your account. Your files can be encrypted and decrypted only with your Crypto Pass. Be careful tho because if you lose or forget your Crypto Pass your files cannot be returned since the folder cannot be decrypted even by pCloud’s Sys Admins. 6. Mobile Apps — the apps for iOS and Android are full-featured which means you can do everything you can do on other platforms (Share links and folders, Encrypt files, Stream video and music etc.). There are many other features and I hope you find this helpful because we put it a lot of work to compete with services like Dropbox and Google Drive and make something better than them. I have tried a lot of to-do lists and by far this is the best one for me. I love it because the design is super clean. Also one of my favorite things about it is that managing projects is super easy. First of all you can have a different color for every project which is good if you work ok more that 2–3 things. Second of all you can create child projects. So for instance if you are a person the manages a lot of things like project managers do this will be great for you. Last but not least. You can move your projects with drag-and-drop so you can arrange them however you want in a matter of seconds. Another cool thing is that you can collaborate on projects in Todoist. You can assign tasks to the people you work with. It is not the most complex todo list and I think that’s why I like it. So if you are not used to using todo lists you might find Jira a bit overwhelming. It is great for software development and working on bigger projects. It can be customized in any way you want. Because it’s a bit more complex at first it might be harder to you use but once you get the hang of it is super helpful. 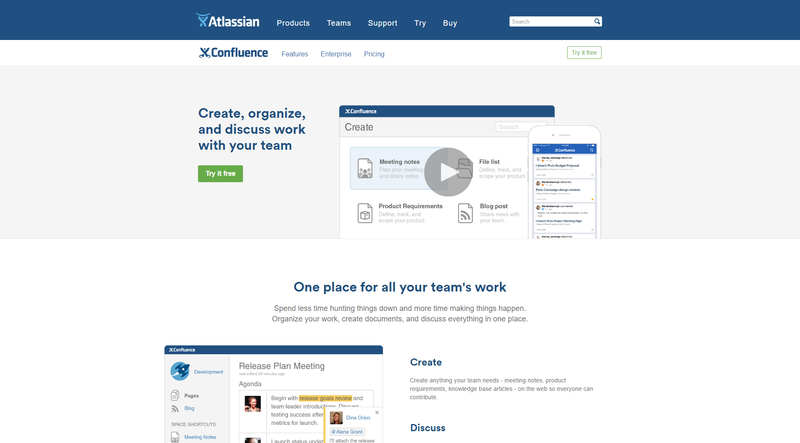 Confluence is a project organization tool. What it does is basically give you a place to organize all the things you need while managing a project. You can create teams, you can upload designs, you can discuss basically everything that is on there with comments. It is a great tool but it’s for bigger projects. Evernote is a great place to store ideas. The great thing is that you can sync it to all your devices. So when you want to remember something and write it down on your phone it is instantly synced on all your devices and you can continue working on it on your desktop. Another cool thing is that you can share everything you have created with someone and work on it together. My favorite feature tho is the document scanner. You have probably already used Slack. It is maybe the most talked about team-chat platform for a couple of years now. There are two sides tho. The people that think it ruins productivity and those who think it makes it better. 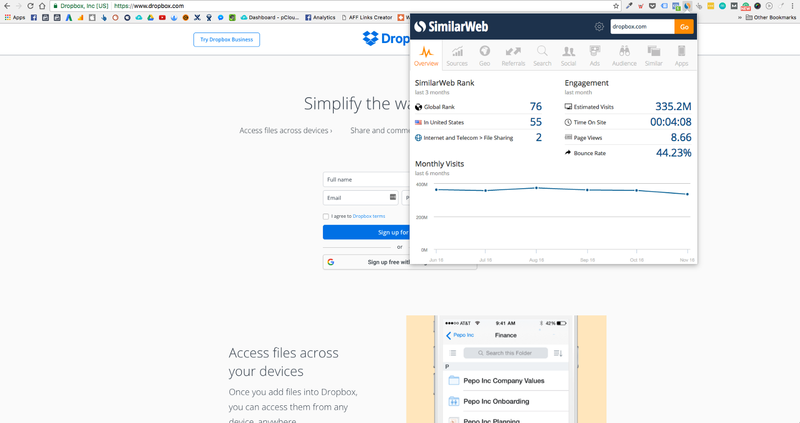 On one hand it has a lot of integrations with the most popular work tools that teams use. It also has bots that can do a lot of different stuff. So in a way it can be really helpful when you send a lot of emails. 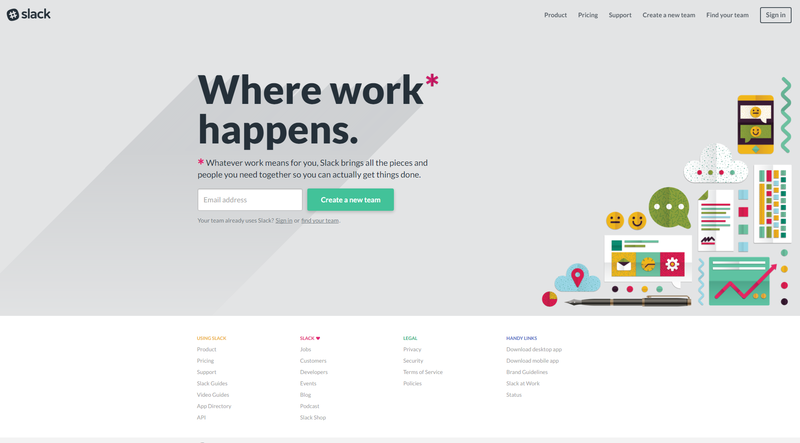 Here is a cool article with 22 Slack hacks so you can become better at using it. On the other hand tho Slack has become for some teams the tool that stands in the way of productivity. I say that because in a lot of cases people find themselves chatting about something that has nothing related to what they must be doing. Chatting is really addictive and some even think that slack can destroy the work-life balance because you will constantly feel that you are missing out on something when you are not looking at it. The most valuable tool for a marketer is knowledge and practice. This is why I consider good blogs to be tools. I have learned most of the things I know by reading and watching videos. 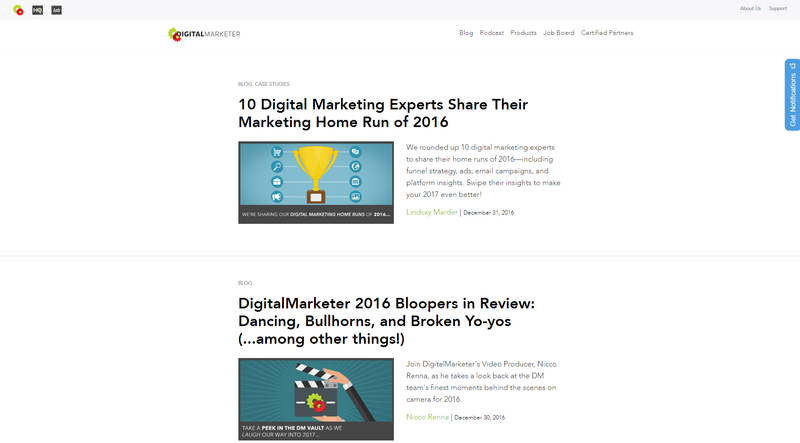 Here is a list of the best marketing blogs in my opinion. 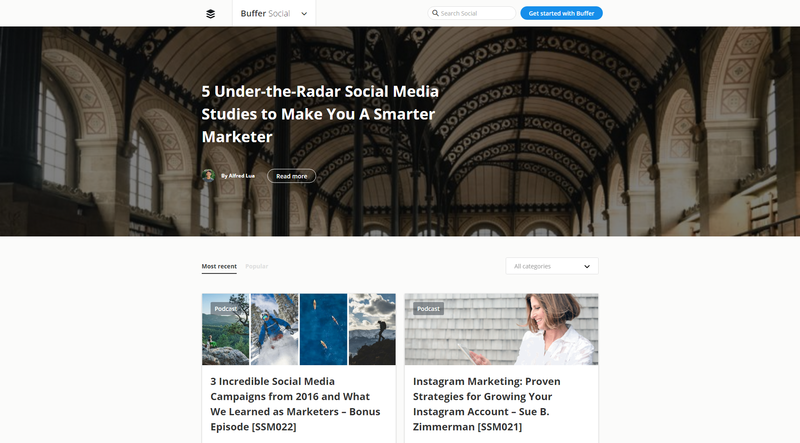 One of the best marketing blogs there is. Because of blogs like this I don’t pay $1000-$2000 dollars for marketing online courses. Everything you need to know to be a good online marketer can be found there. There are hundreds of articles with helpful tips and expert advice. There are case studies and step-by-step guides, example spreadsheets and some “hacks” that can get you to the next level. This is my favorite marketing blog. I love people like Ryan that are super transparent and honest in what they do. He shares super helpful things and honestly I’m glad that not much people know about him and his blog. The things he shares are just too good. Definitely check out his videos on youtube, they are a bit long but so worth it. If you are a junior marketer you need to read everything that’s on there. 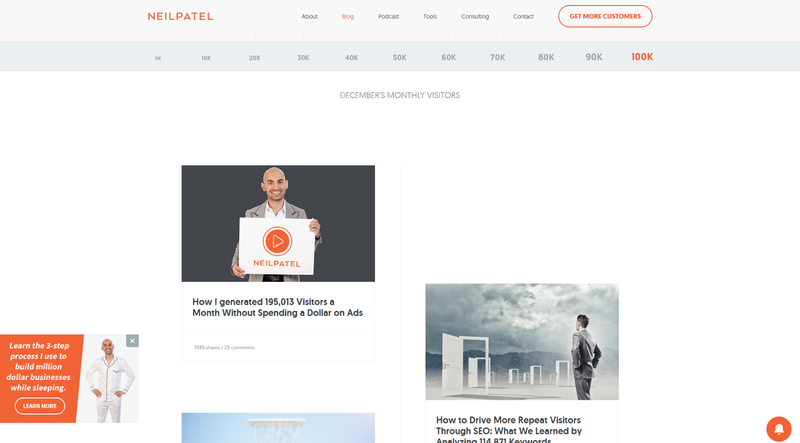 Neil Patel is the true definition of a Growth Hacker. His articles are super long but they are full of value. He is a serial successful entrepreneur and it’s amazing that he share the tip and tricks he uses to grow his business. Definitely check out his $100K challenge. 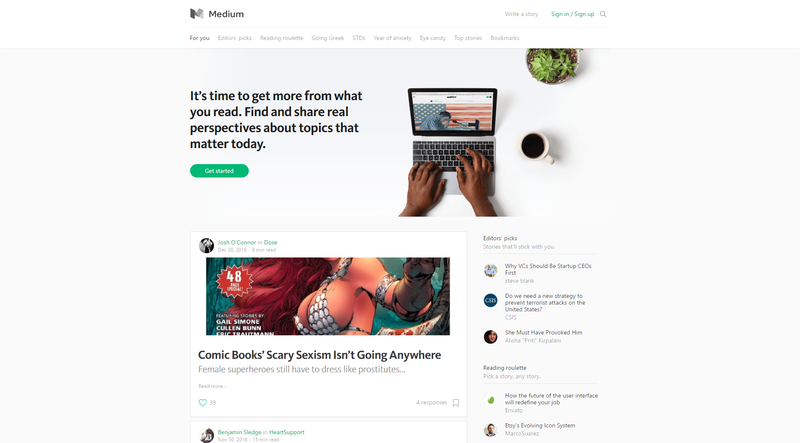 In my opinion Medium is a somewhat a reading social network and in my opinion is the best place to find interesting stuff to read and learn. If you curate your “Newsfeed” right you could be stuck there for hours. It automatically ads a Play button at the bottom of your screen when you are in Medium and when you click it, it starts to read the article. I use it a lot and I really mean a lot. Make sure you follow me. 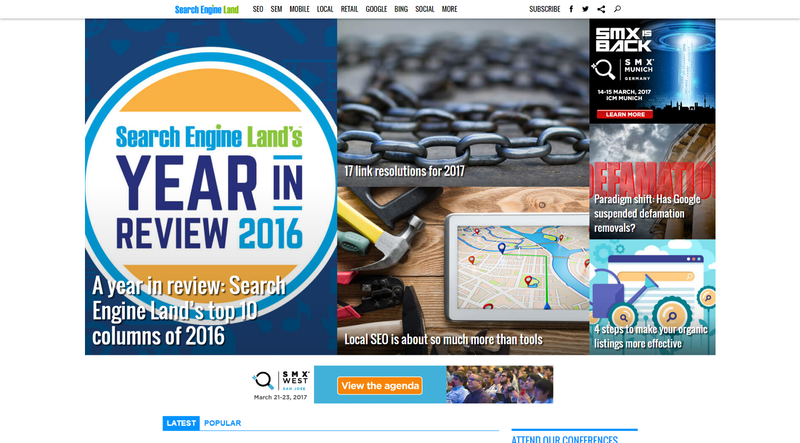 If you are a Digital marketer specializing in SEO, SEM and PPC you need to bookmark this website. Everything related to these three categories is often times published there first. 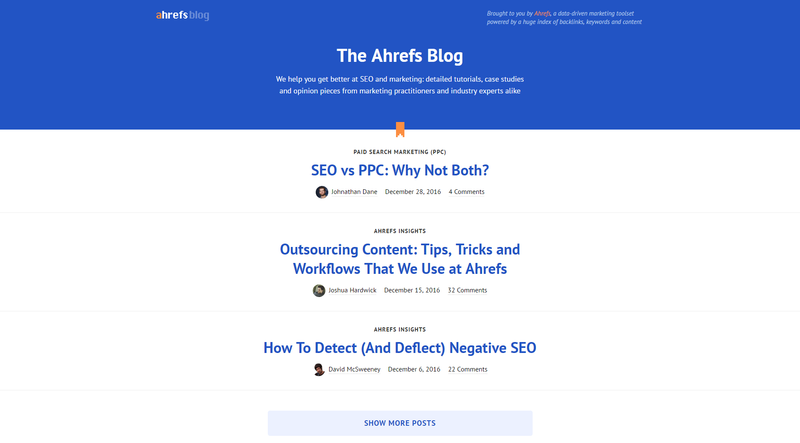 Just line DigitalMarketer, Ryan Stewart and Neil Patel I love the Ahrefs blog because they share amazing case studies and everything they write about is strongly backed up by data and I as I said I make my decisions based on data. In my opinion Jon is one of the best and most practical bloggers related to Facebook Marketing. Either if you are a Junior of a Senior Facebook advertiser you can always learn something new from his articles. His step-by-step guides are super easy to follow and everything is explained in a very easy to understand way. 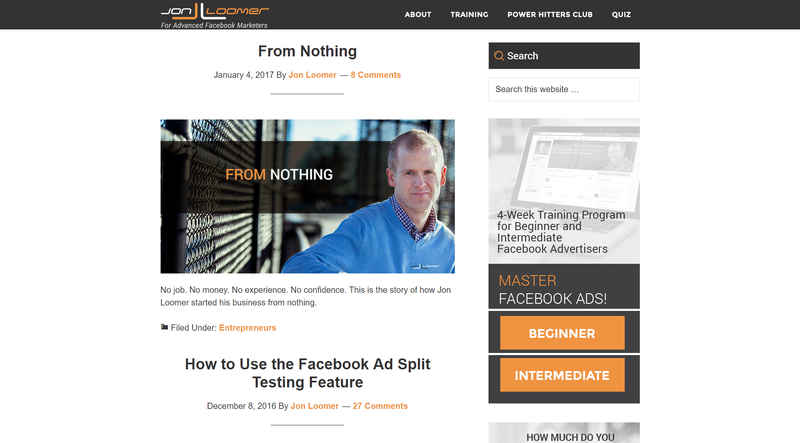 He often posts results from experiments which are the things that I read the most from him, but if you are just starting with Facebook Advertising Jon’s blog is one of the best if not the best place learn from. 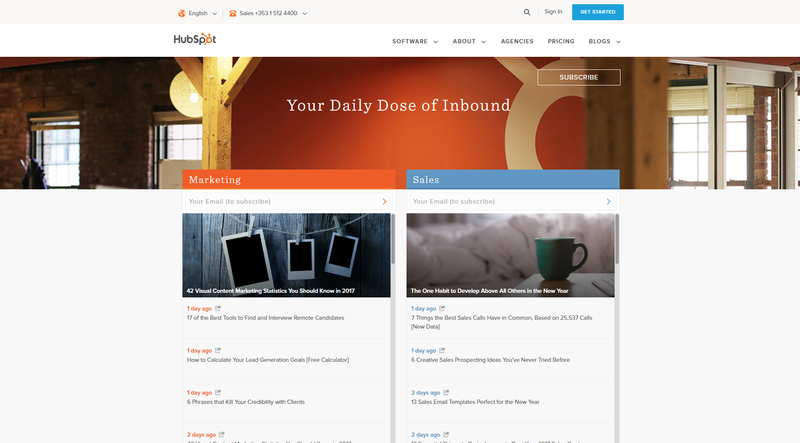 Hubspot’s blog is another gem. There you can find all kinds of articles about how you can get more traffic based on data. They have a lot of free tools that can help you so keep an eye on the blog because they often include them in massive articles. I love the Buffer blog because they are super transparent. They share everything about their journey. Same as the Buffer blog I love Groove because they take us through their journey. 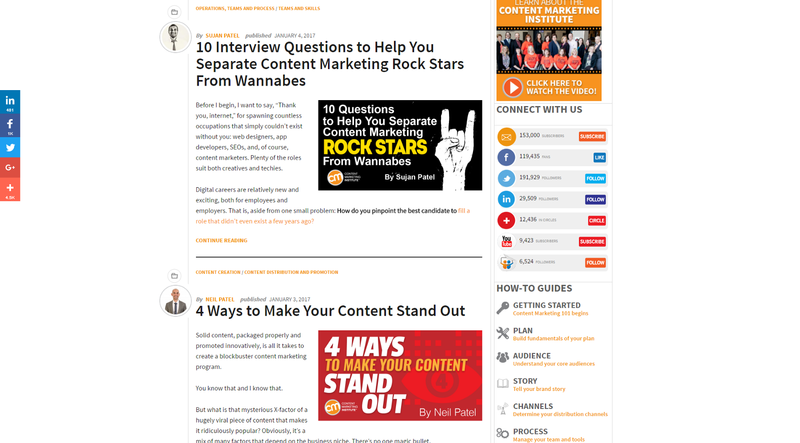 And their content is packed with good advice especially for startups. You can learn a lot. From marketing strategies to leadership and building teams. Make sure you check them out. I love the Whiteboard Fridays. Honestly. Rand Fishkin is so good at explaining stuff. The most complex and difficult thing he can explain in a way that you can understand it immediately. His examples are always good and you can really learn a lot from him. 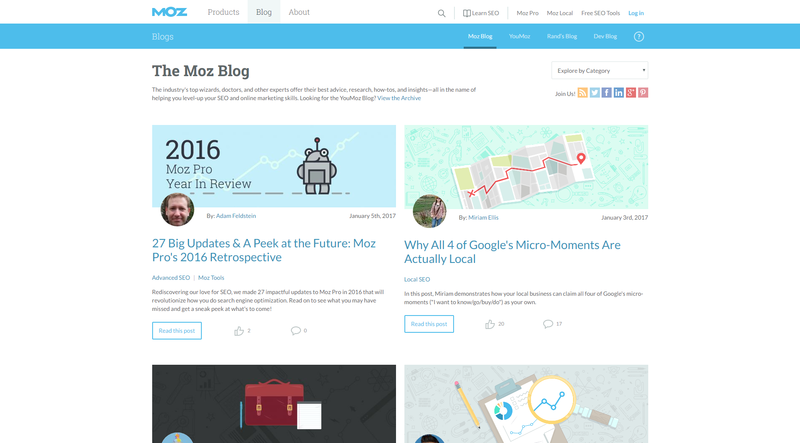 The MOZ blog is good both for Junior and Experienced Marketers. There are things can can blow your mind there. 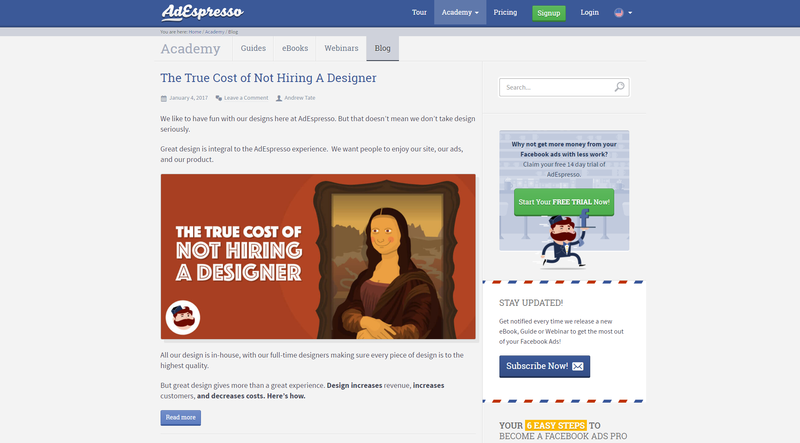 Last but not least the Adespresso blog. 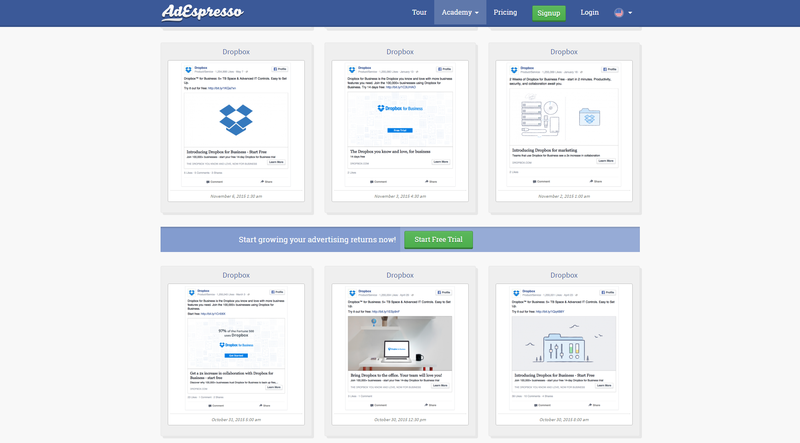 Adespresso is a tool that helps you optimize your Facebook Ads in the best way possible. Their blog is full of case studies and interesting experiments. If you want to learn interesting facts about Facebook Marketing make sure you follow them. These are most of the tools I used and still use to try and be the best at what I do. Hope you learned something you did not know. If you see tools that are not listed in here be sure to comment. Also if you have any questions at all please, ask. I will make sure to answer every one of them. When Facebook released its chatbot platform in 2016, many in the tech world thought that bots would be the next frontier of human-computer interaction. However, as time has passed and the hype around Messenger bots has died down, it has become increasingly clear that bots are not going to supplant apps as the primary way individuals use the internet any time soon. That said, chatbots have found a promising niche in digital marketing. Increasingly, marketers have found that the killer app for chatbots is conversion rate optimization. Chatbot marketing offers the promise of a more engaging lead generation and qualification process. Of course, to actually see any of these benefits you need to know how to approach the technology for the first time. As someone who has worked in the chatbot space for the last three years, I have found that many businesses have a misguided notion of how chatbots are going to help them, resulting in a subpar chatbot that fails to meet their and their prospects’ expectations. Don’t fall into a similar trap. Learn how chatbots can actually help you boost your conversion rate and achieve the marketing holy grail: a lower CPA. While such a definition is technically correct, it is not the right way to look at chatbots as a PPC marketer. The definition above sets the benchmark for a chatbot’s capabilities at human-level intelligence. When applied to PPC marketing, this benchmark generally manifests itself as an expectation that chatbots will serve as highly intelligent sales or customer service reps who live on your PPC landing pages and can guide prospects through the buying journey. Unless you are Google, Facebook, or Amazon, there is little chance that your chatbot will be able to understand human language well enough to handle every query users send its way. This will inevitably leave both you and your prospects disappointed when the bot gives a nonsensical answer to a reasonable query. So if chatbots aren’t the ultra-intelligent beings that we were promised then how are they going to drop your cost per acquisition? The key to answering this question is to set a more manageable benchmark: the humble lead capture form. Think of chatbots not as hyper-intelligent sales agents, but rather as conversational forms. If you task a chatbot with collecting the same details as a lead capture form, it does not require AI, so it will not fail to meet expectations and might actually exceed them. Lead capture forms are not hard to beat. They are fairly dull and no one likes filling them out. The back-and-forth, two-way nature of a chat (even if it is with a dumb, AI-free bot), is a far more interactive way to capture the same information a form does. Prospects are given a constant stream of instant feedback for each of the details they send which is reminiscent of the gratification that their favorite apps give them every day. The end result is a more engaging lead capture experience which leads to a higher conversion rate. This, in turn, drops cost-per-lead (by half in many cases) which in turn drops CPA. I have tried this approach with several of my clients’ ad campaigns and have seen an increase in conversion rate by as much as 200%. But, my favorite demonstration of the effectiveness of this approach doesn’t come from the marketing space. I am a big fan of the DoNotPay app which lets you sue people with the tap of a button. When it began, DoNotPay was a chatbot that helped aggrieved citizens draft short letters to contest parking tickets. Joshua Browder, the bot’s creator, recognized that the contestation letters were formulaic, requiring the same set of details for every citizen. His bot asked for each of these details individually in a conversational manner. As you might imagine, the bot didn’t require highly advanced AI to accept the details (e.g. you don’t need too much AI to pull a name from the phrase “My name is Arnav Patel” or to pull an address from “I got the ticket at 12345 Clover Blvd”). After collecting these details, the bot could compose a short letter by plugging details into a template the citizen could send to their local government. The bot did not have to use any fancy underlying tech and performed more like a conversational form than a robot lawyer. This approach was so effective that DoNotPay helped squash over 200,000 tickets over the months following its release. This process of essentially tricking users into filling out a form is the same approach to chatbots that I described above. The key to building an effective chatbot strategy is managing expectations. If you try to recreate a conversational agent with the intelligence of Jarvis from Iron Man you will inevitably fail. Both you and your prospects will be disappointed when the bot doesn’t perform as promised. If you set a more manageable goal and make a bot that improves your lead capture experience, your prospects will feel more engaged and you will convert more leads with the same ad spend. This thought process affects your bot’s goal and how you phrase the bot’s conversational flow. I would recommend creating bots which have a very fixed and narrow objective (e.g. capturing a lead for a particular product/service) and phrasing questions with a similar fixed objective as one might do with a form field (e.g. ask “would you like help with X or Y” instead of a more open-ended “how can I help you?”). Using this approach allows you as a marketer to feel the benefits of a chatbot’s engagement without the fear of awkward examples of failing AI that alienate prospects. The end result is a higher conversion rate, lower CPA, and a more efficient PPC campaign. 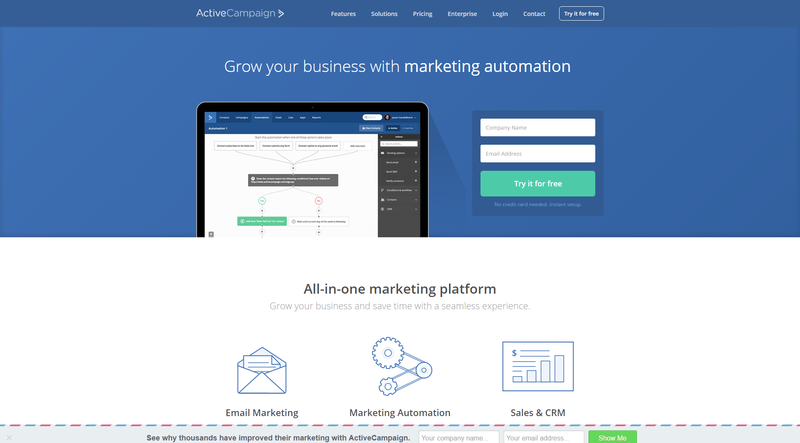 Are you looking for digital marketing automation? We live in the sparkly, shiny world of automation. Everything from switching lights on/off to assembling cars can now be automated. This calls for the question though—how important is automation? Is it really of much help? The answer is yes. Automation is adding value by reducing manual labor, saving time, and in some cases, saving lives. This is a tweet by Anton Zaslavskia (aka Zedd), a Russian-German record producer and DJ. He tweeted out in support of the smart car Tesla, talking about how it saved his life. The autopilot feature in the car alerted the driver awake when it detected that he had fallen asleep. Thanks to the automation amalgamation, Anton’s life was saved. Automation has created a paradigm shift in the way we work, across industries and businesses. And it is the same in the case of sales. The daily life of a sales rep is a list of crucial tasks that can make or break a deal. These include sending out emails, making calls, creating contracts, negotiating deals and more. They do these tasks multiple times in a day for multiple accounts, and it might be challenging to stay on top of all the accounts with just manual work. Studies say sales reps spend 21% of their day on emails. That is a large chunk of their day, almost a quarter, which can be better spent talking to prospects. This calls on the urgent need for email automation. What are the most common emails that are sent daily? What is the time spent on creating and editing emails before hitting send? How much personalization and customization is needed for each email? Creating the email copy, customizing it for each lead and sending them out requires a good chunk of your sales reps time. Let’s assume that a follow up email containing a helpful resource needs two minutes of preparation time before hitting send. If the sales rep has to send the email to 10 other prospects, that is 20 minutes of their time. Also, these emails are only the first touch point in the sales process. They need to spend more time on highly personalized emails for nurturing the leads further. These would take more time to prepare and send, and your sales reps would end up spending hours just sending out nurture emails. Your frustrated sales reps deserve better, and email templates can eliminate this frustration. Rather than typing out the same email over and over again, they can create and save email templates that can be repurposed as needed saving tons of time. They can also schedule emails so that they can be sent out to multiple prospects at the same time. When creating emails templates, keep in mind to customize email signatures with links to collateral that can further help nurture the lead. For example, in a “thank you for signing up” email, add links to product videos and customer case studies. This would help the lead understand product features and use cases better. Always add a hint of customization to bulk emails using placeholders. Avoid sending emails during their out of office hours. Schedule emails according to the time zone of the recipient. Your business may receive a high volume of leads from multiple resources. Some of these leads may be looking for a fling while some may be interested in starting a relationship with your company. While it makes no sense to spend a lot of time with the former set of leads, your sales reps may not be aware of that. There are, of course, AI-based lead scoring tools to help your sales reps prioritize leads. But before you go ahead and get one for your business, ask yourself the following questions. Are your sales reps spending a big chunk of their time in the qualification process? Are the conversion rates low? Are your sales cycles longer due to leaks and bottlenecks? If the answer is yes to any of the questions, your business can benefit from automating the lead prioritization process. Before you set off to create your lead scoring model, consider the metrics that are indicative of your business type. Most businesses score leads based on explicit signals like job title, industry type and company size. In some cases, businesses require deeper knowledge into how the customer uses the product and can lead based on implicit signals like website activity, page visits, and collateral downloaded. Depending on how your customer uses the product, you can create a hybrid scoring system, using a mix of implicit and explicit signals. For instance, you can grant a higher score to a CFO who visits the pricing page as compared to an intern who visits the landing page. If you are a multi-product company, set up different lead scoring models for each product. Set thresholds for the scores on the lead and bucket your leads based on their score as cold, warm and hot. Make sure you configure the model for negative scoring. This is a common mistake made while creating lead scoring models. We take into account only positive attributes but over time, the lead interest may begin to wane. For instance, you can assign negative scores to leads who have stopped engaging with your website and aren’t responding to the emails sent by the sales rep.
Do not score based on vanity metrics like say, email opens. They are not the best indicators of the lead’s interest as the lead may have opened the email multiple times to read it but may not have gotten the chance. Research indicates that calling a lead within the first five minutes of sign up will increase the likelihood of them answering the call by 100X. But this isn’t the case in most companies. In most cases, the business receives leads from multiple sources—website, blog and social media—and they remain untouched within the CRM for a period of time before being assigned to a sales rep. There is a gap in the time from when the lead enters the CRM and the sales rep reaches out to them. This is where lead distribution comes in. By automating lead assignment, the response time is cut down which, in turn, increases the lead conversion ratio. You can assign leads by geography, industry type, company size, and deal value, making it a lot easier and faster for the sales rep to get in touch with prospects. This helps increase sales efficiency as it avoids multiple reps reaching out to the same lead. DO’S: If you have leads from all over the globe or you have a multi-product business, you can automatically assign leads to sales rep handling a particular region or product. Apart from modular tasks like sending emails and qualifying leads, sales reps do various administrative tasks on a daily basis. These contribute in small ways to the larger growth of sales. The true success of a CRM lies in the fact that it serves as a single source of truth. It is an organized collection of data on prospects, customers, deals, accounts, and related sales activities. But this information has to be entered manually by the sales rep. Automating CRM data entry can help reduce the time and effort spent on it. With automatic call logging, your sales reps can crush their daily sales call quota and not worry about missing out on adding calls to the CRM. 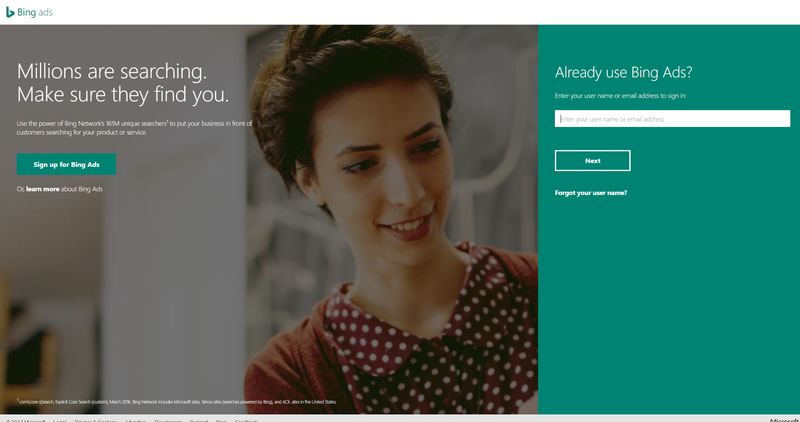 The CRM will automatically log calls into the respective lead profiles. With lead enrichment tools, the lead profile can be auto-populated with relevant information like job title, industry, and company. This eliminates the need for the sales rep to manually research on the lead. To schedule a meeting with a lead, there is usually a flurry of emails sent back and forth with various time slots. Automating appointments using a tool like Calendly can eliminate this hassle. You can forward a link to your calendar with the available time slots and the lead can choose their preferred time slot. A calendar invite is sent to both parties automatically and a reminder email is triggered before the scheduled time. Reports are tiresome and boring but extremely important. As a sales manager, you are responsible for revenue targets. You need to be aware of how the sales pipeline is moving and measure the output of the sales process. The easiest way to do this is to maintain records of the sales activities. But collating data manually would involve updating a spreadsheet after each task is done with a description, like the number of calls completed, the outcome of the call and call notes. For each KPI, you have to maintain multiple records. That’s a lot of manual data entry, tabulation, and graph generation. If you miss out on adding an activity to the list, you will end up with erroneous data. That’s where reporting automation can help you. By automating reports, you can eliminate the manual task of collecting, organizing and analyzing data. This further excludes inaccuracies that are borne out of human error. Multiple reports can be created easily by choosing the necessary parameters. Sales rep performance can be tracked by customizing reports with the KPIs that need to be tracked. DO’S: Schedule individual reports so that the rep is aware of their performance and can tweak their activities accordingly. DON’TS: Avoid keeping information to yourself. Make the reports accessible to the team so they have visibility into how the team performance is progressing. Are you looking for digital automation?